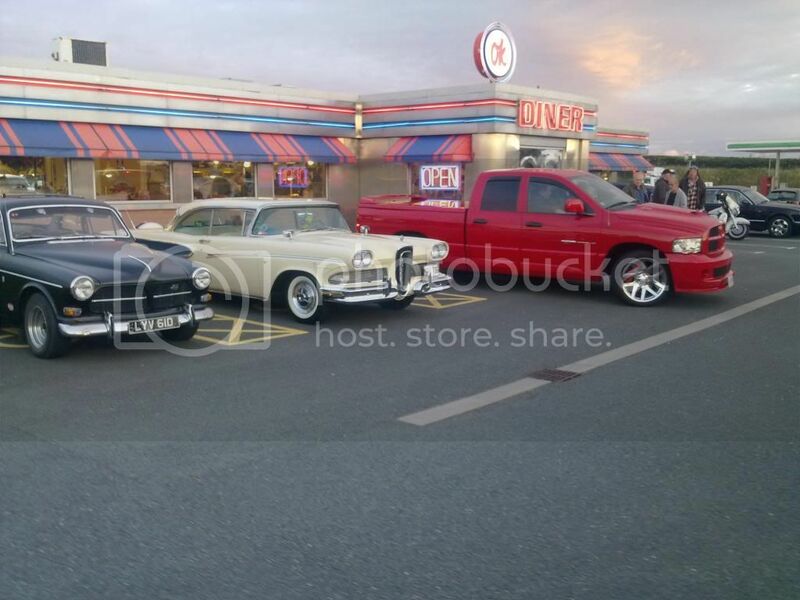 to have a burger and a coffee at the diner. 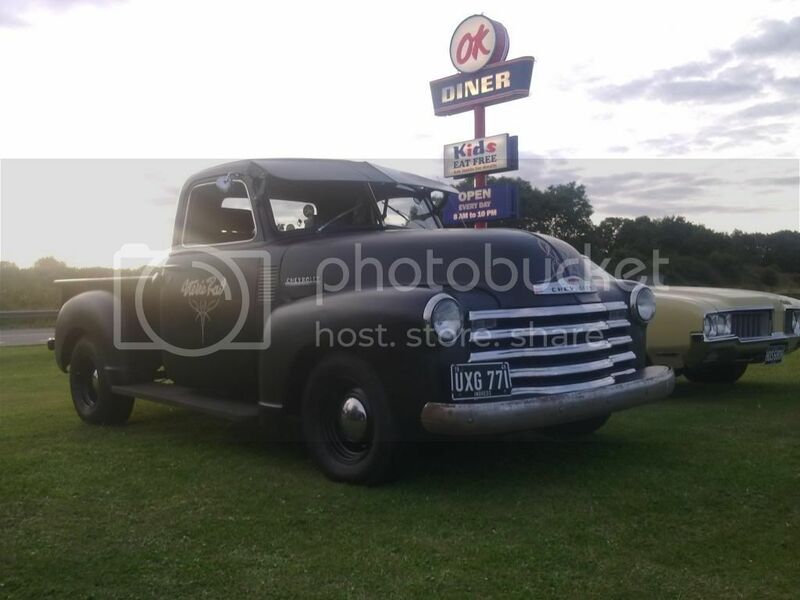 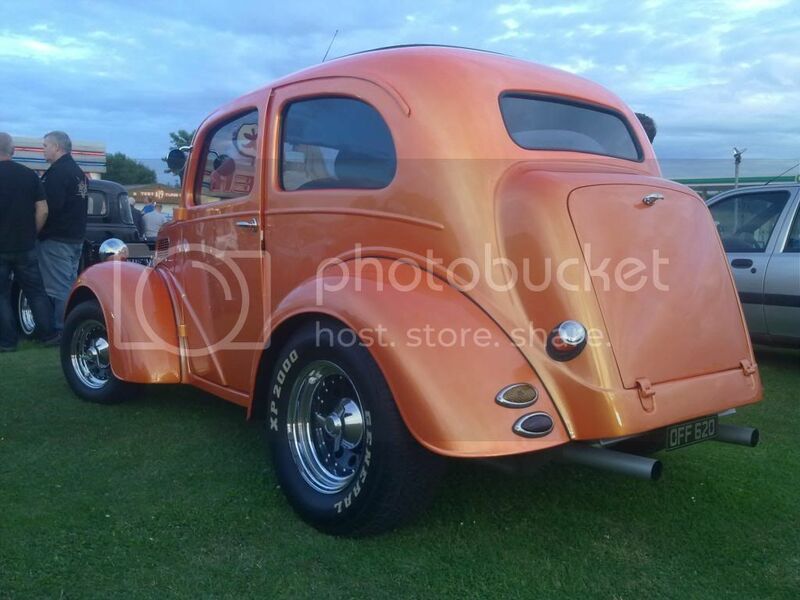 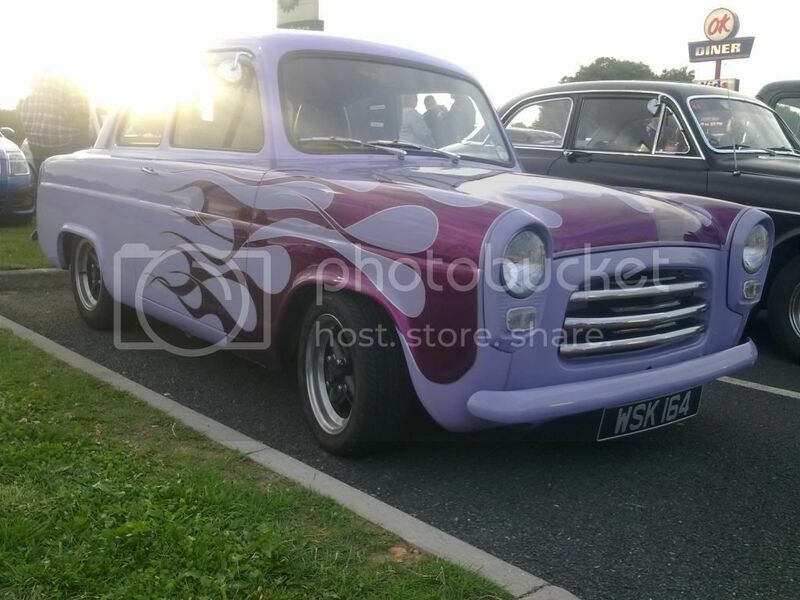 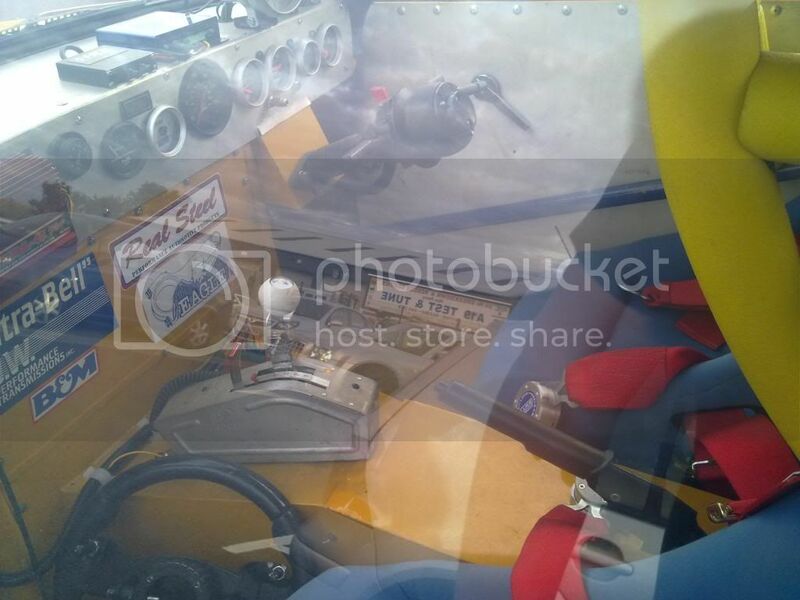 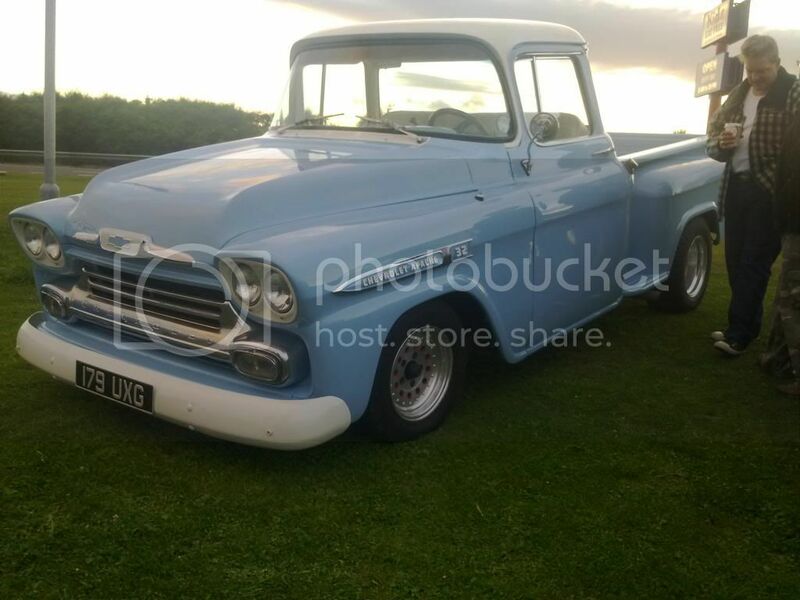 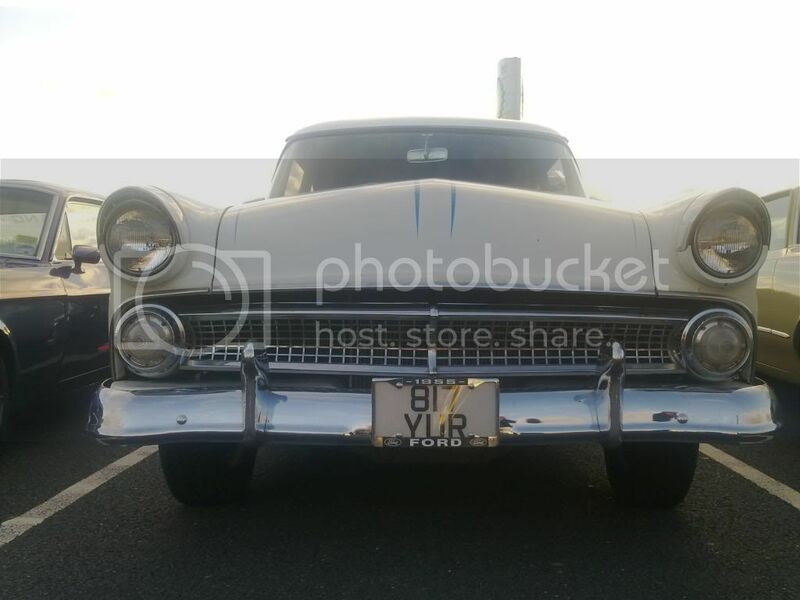 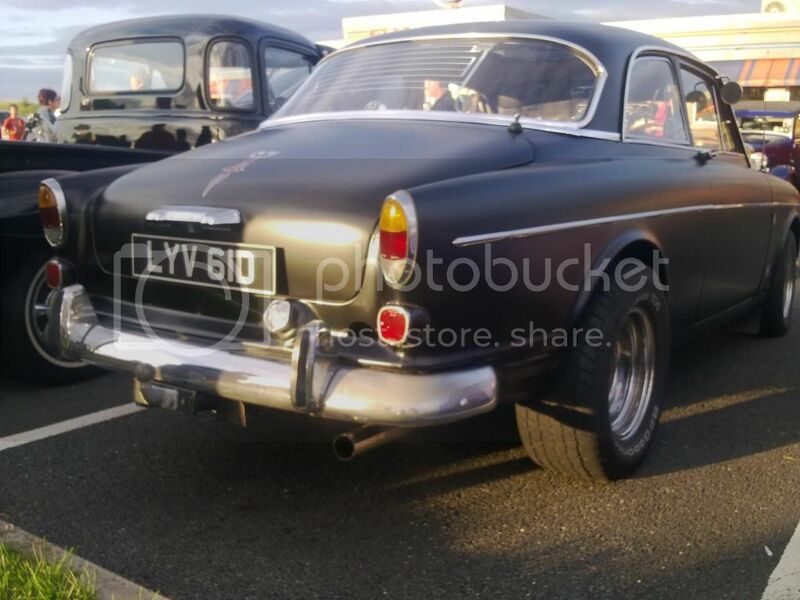 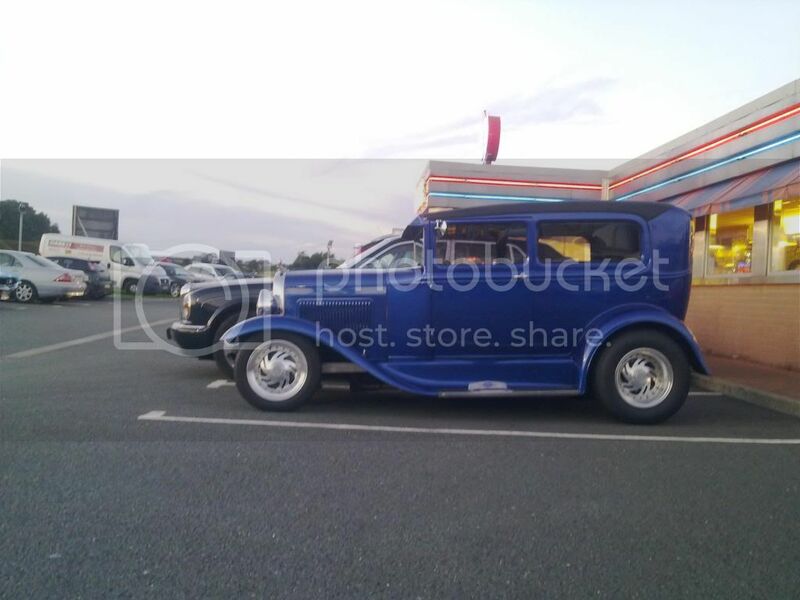 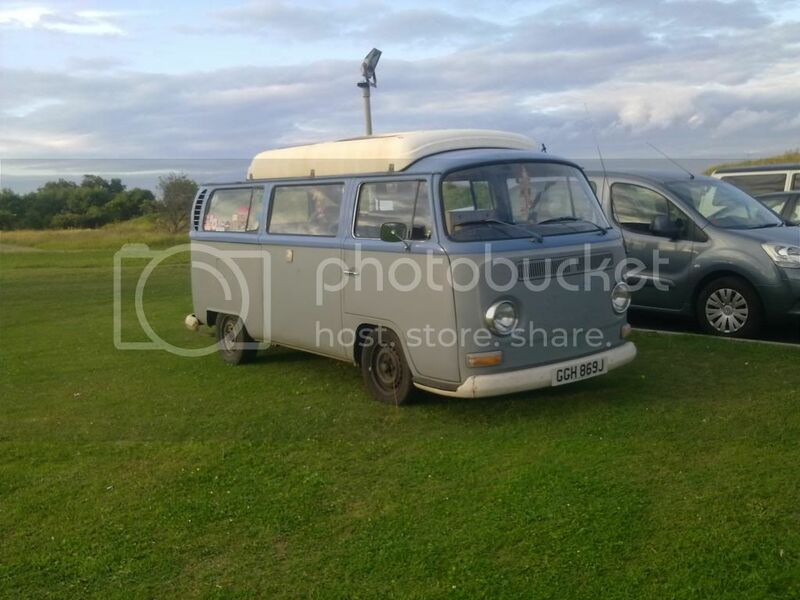 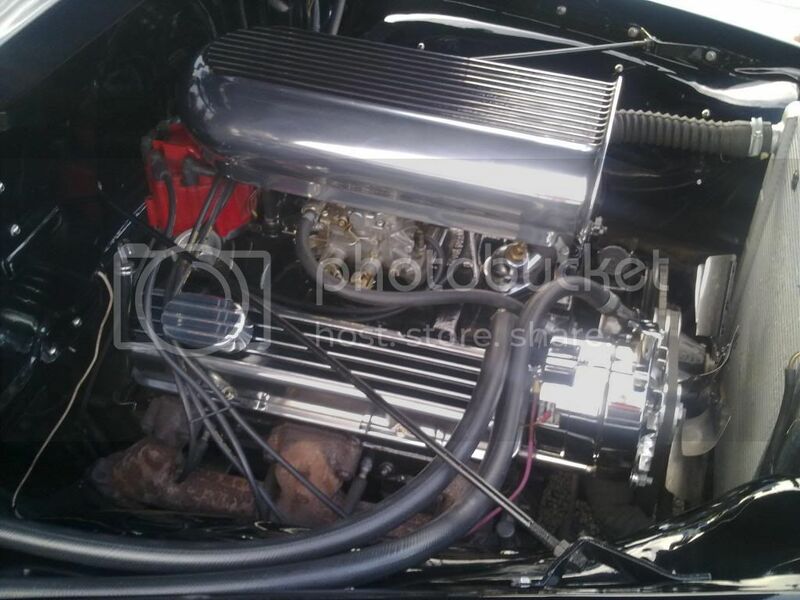 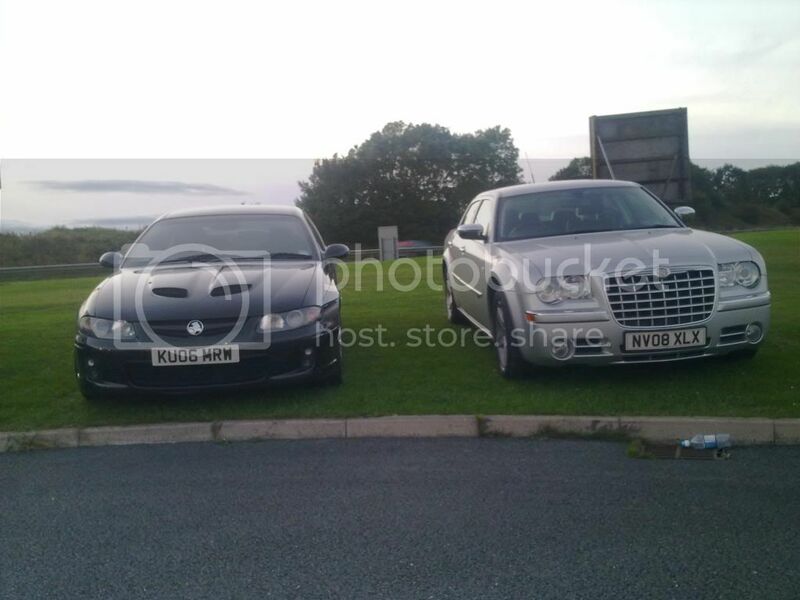 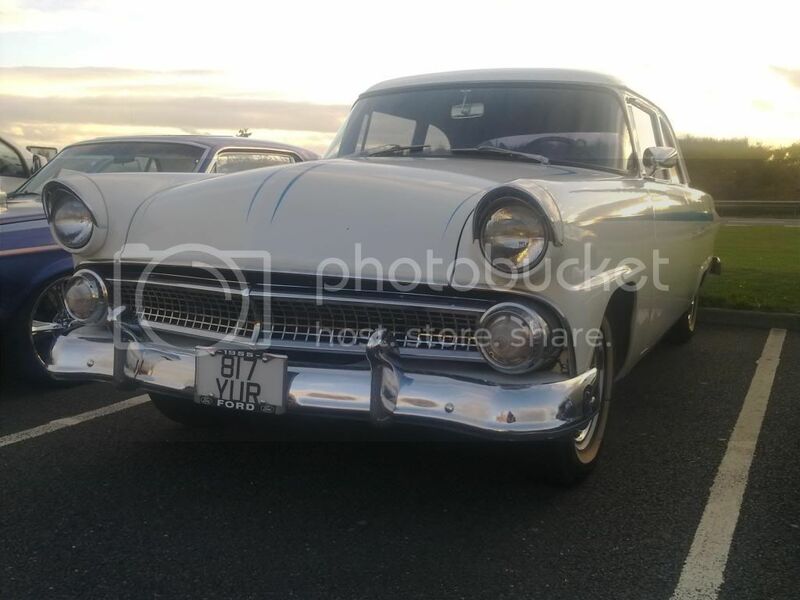 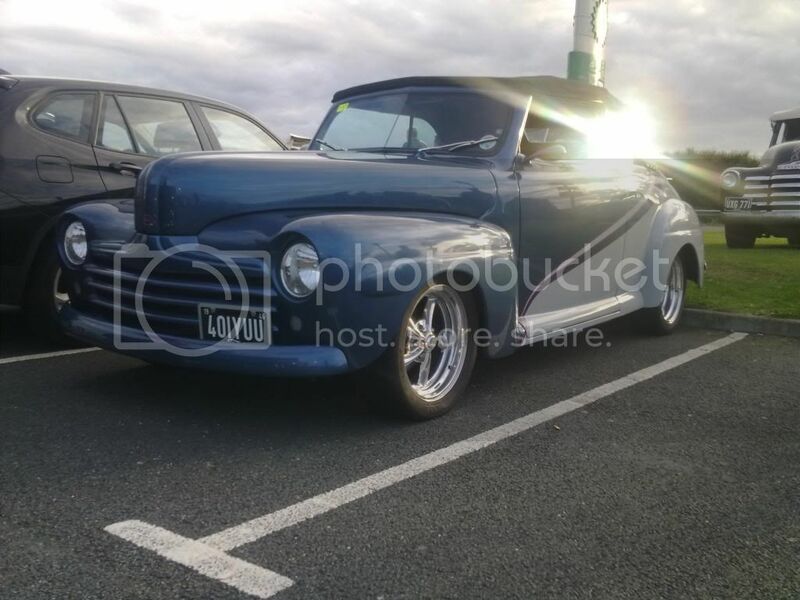 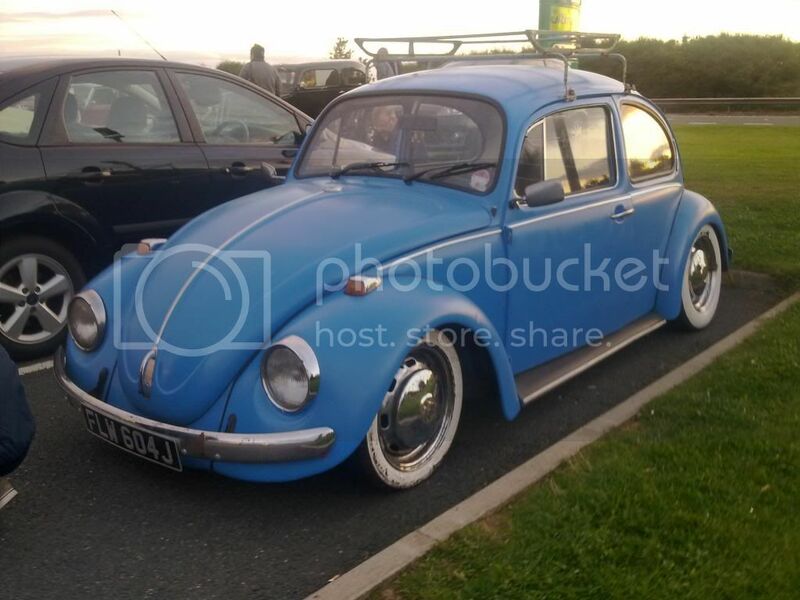 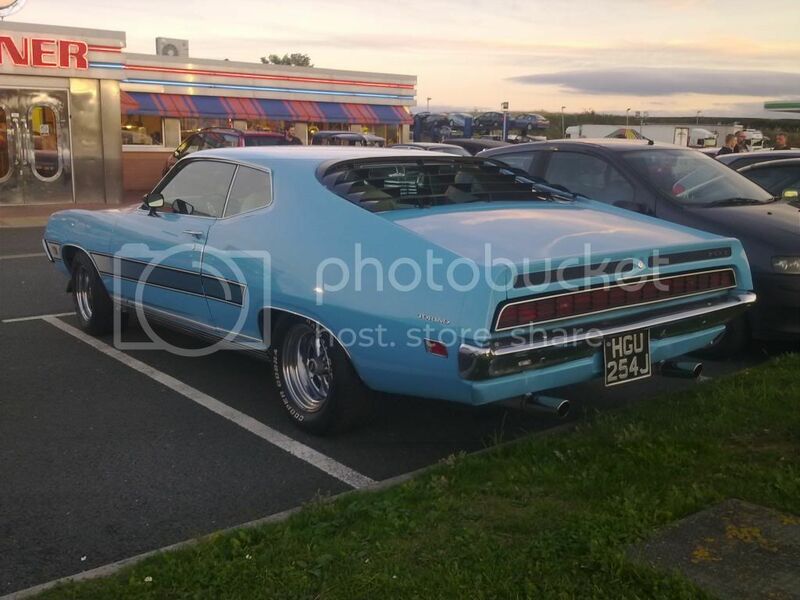 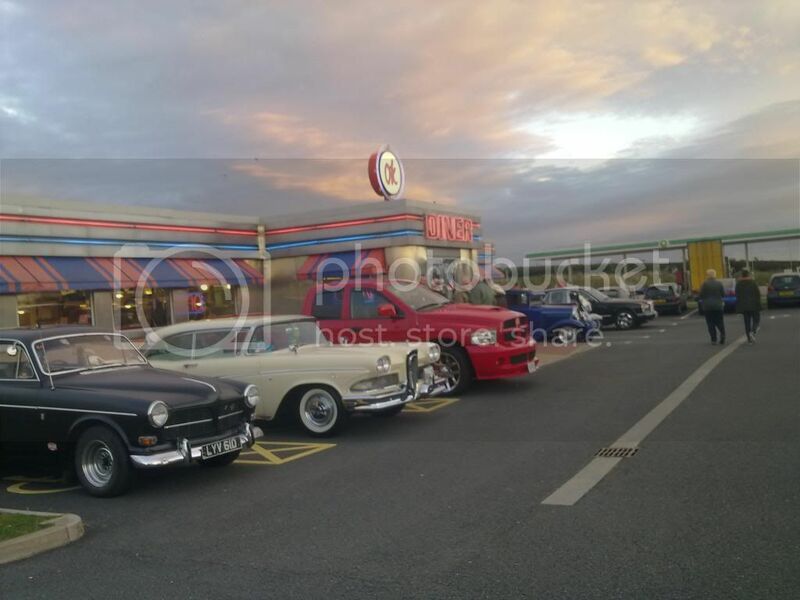 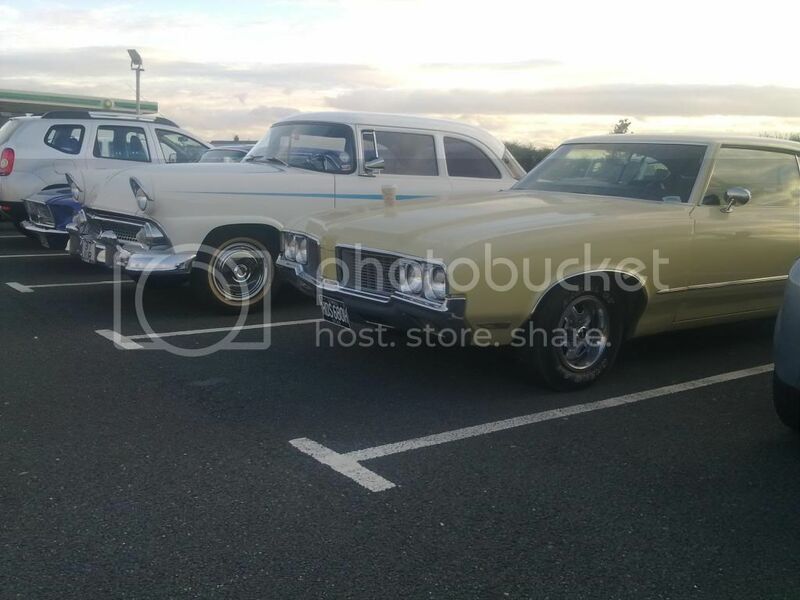 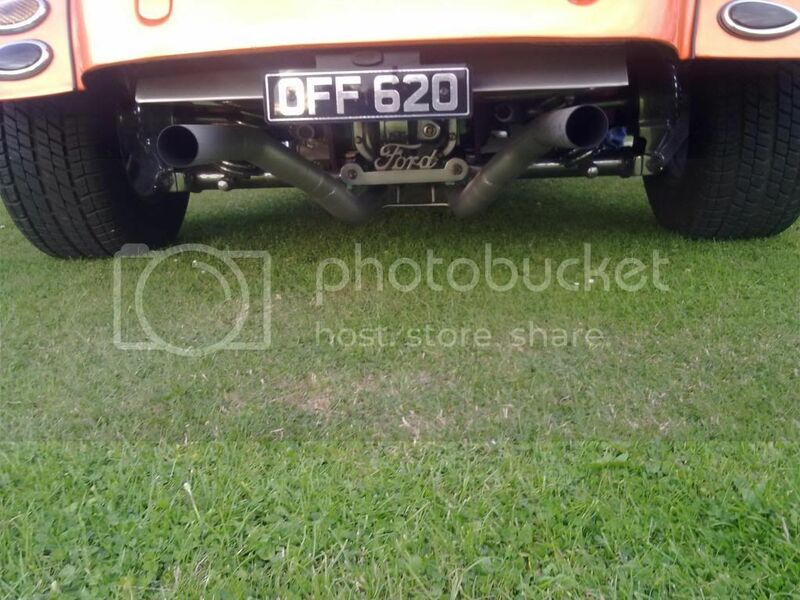 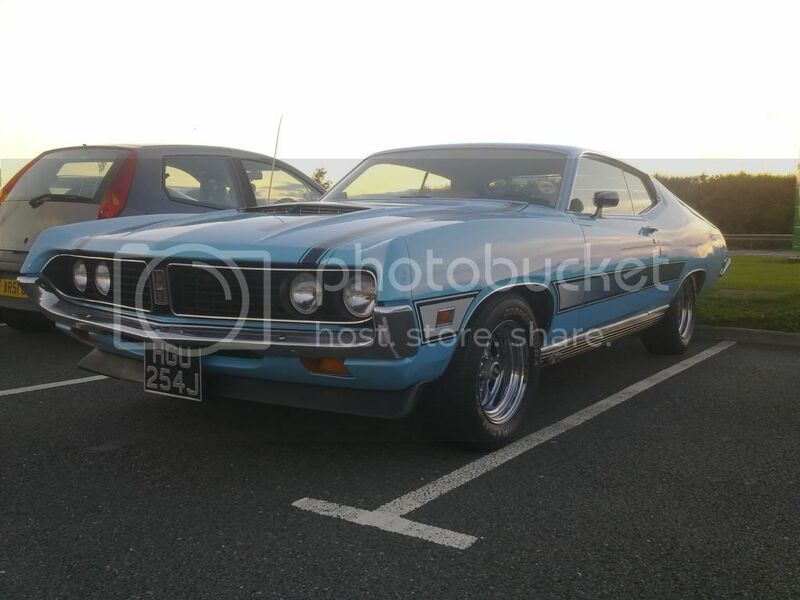 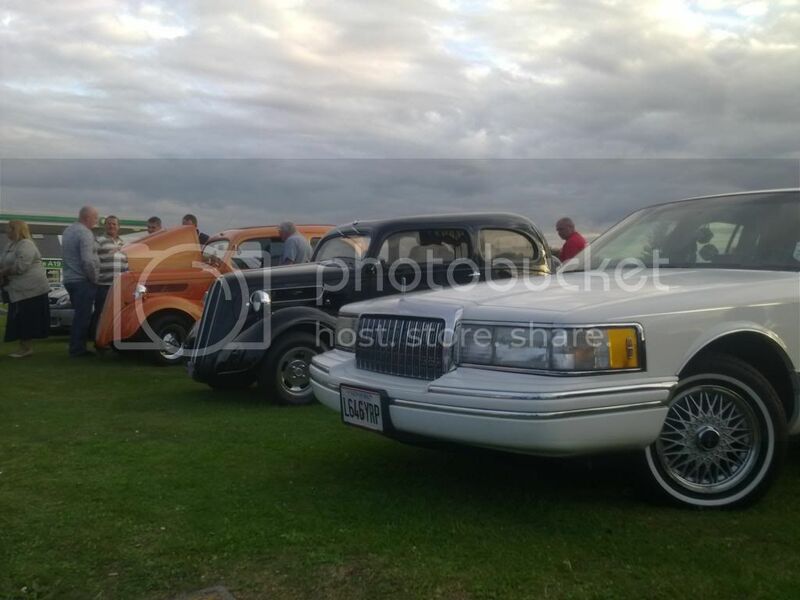 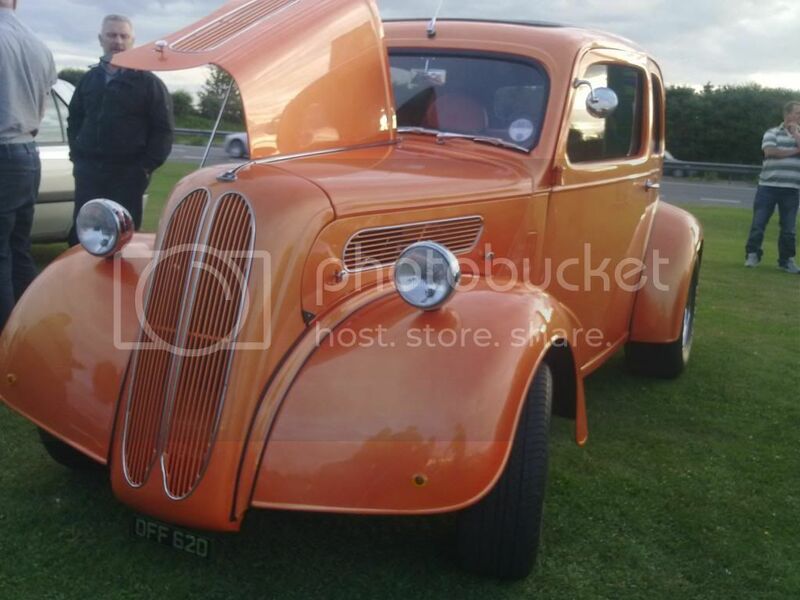 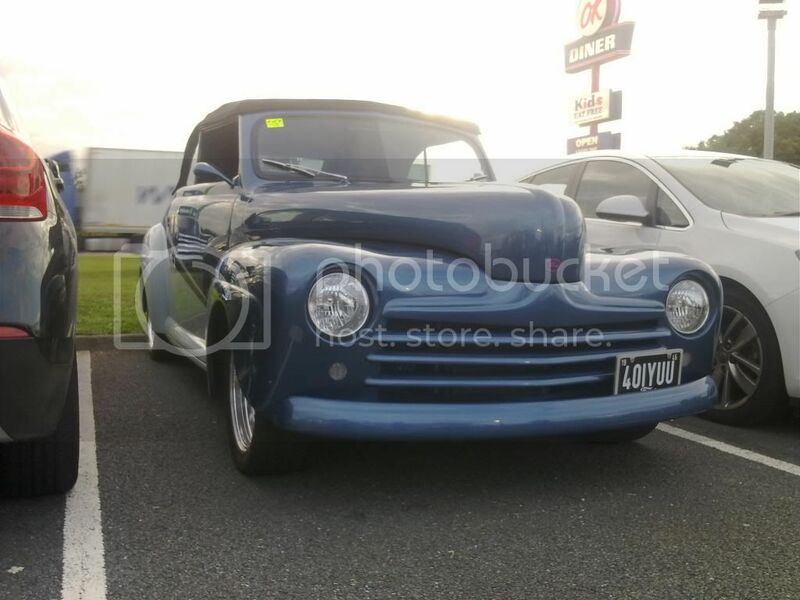 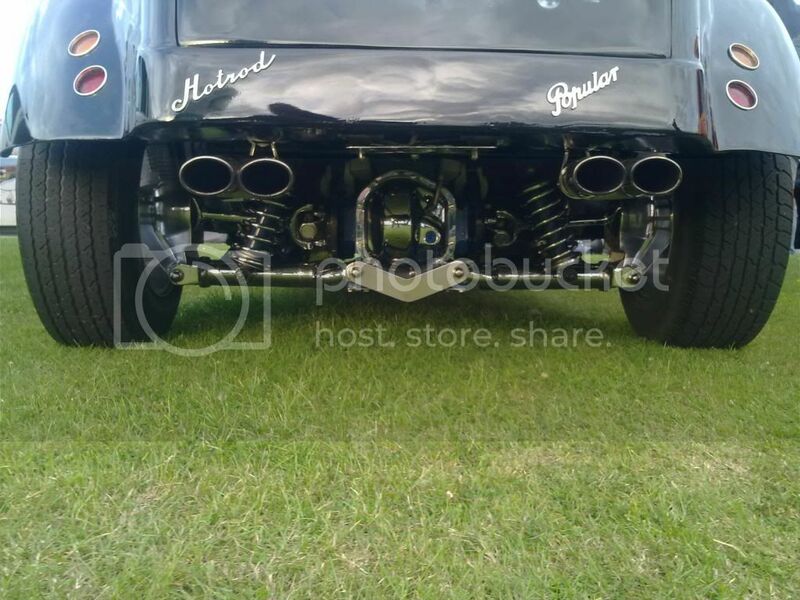 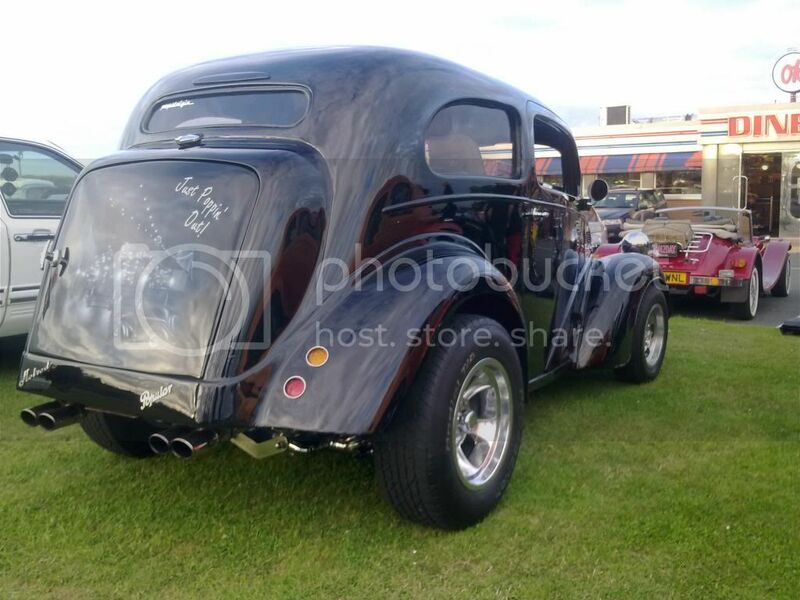 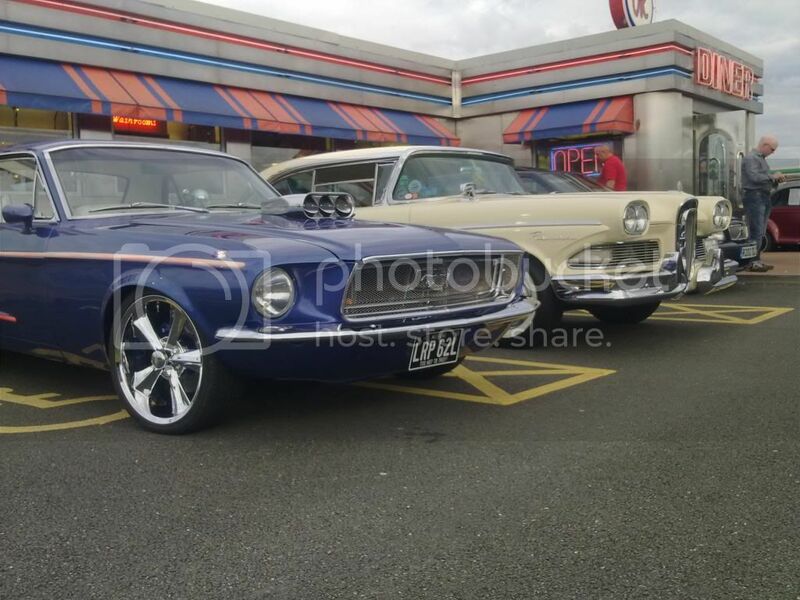 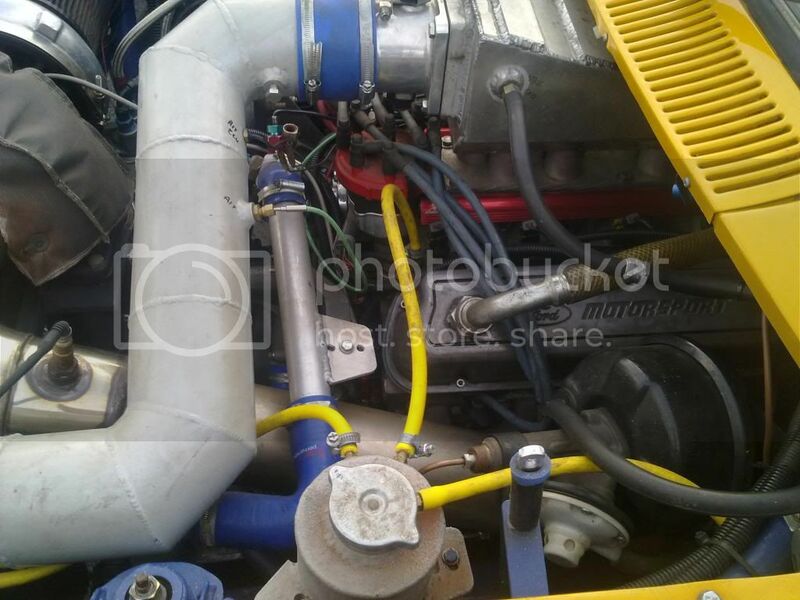 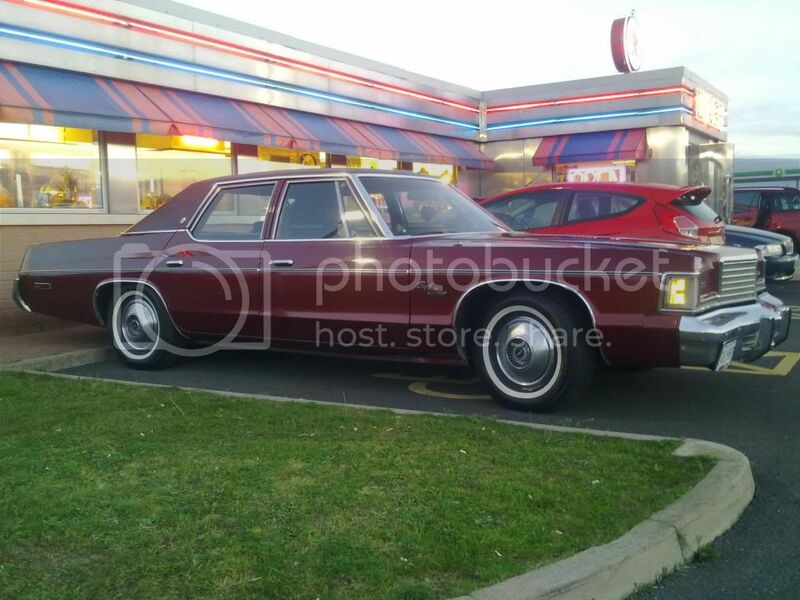 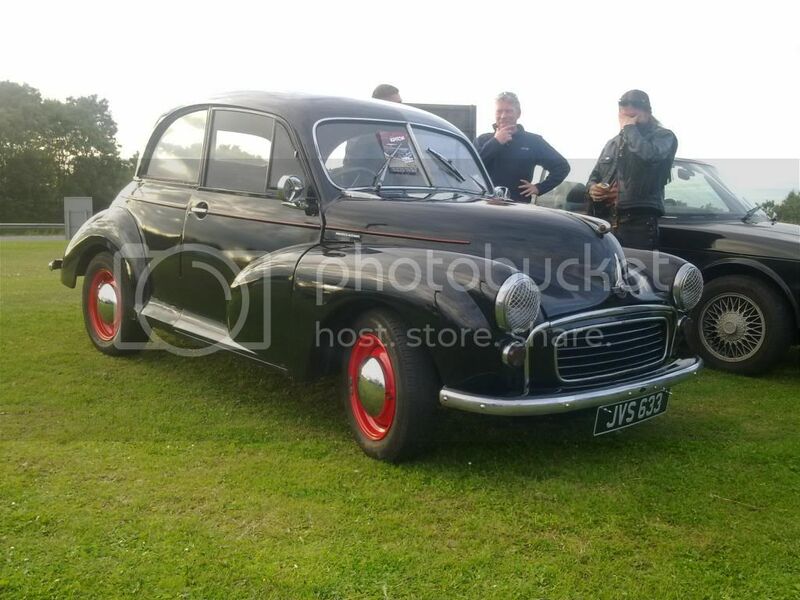 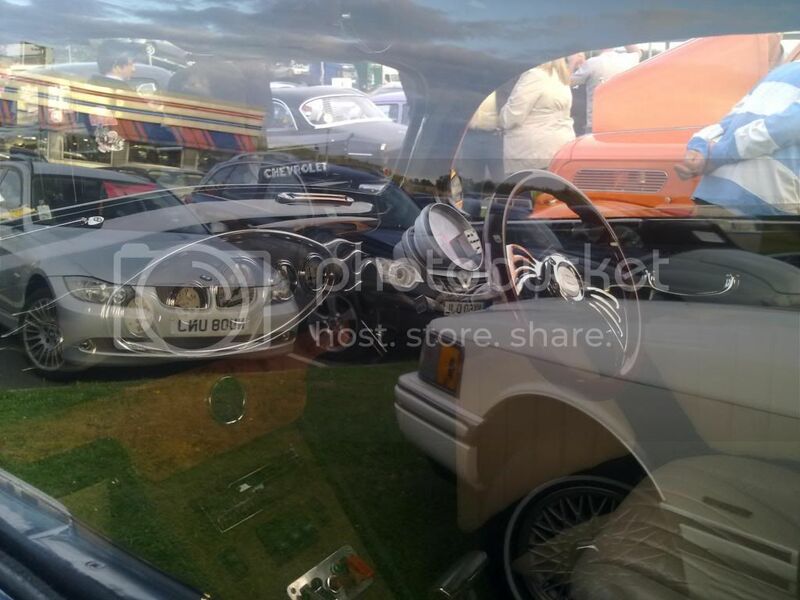 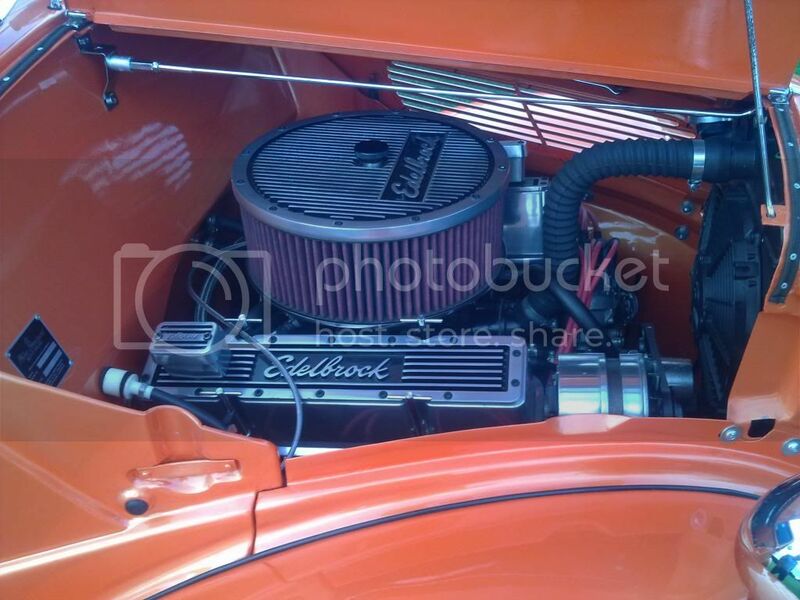 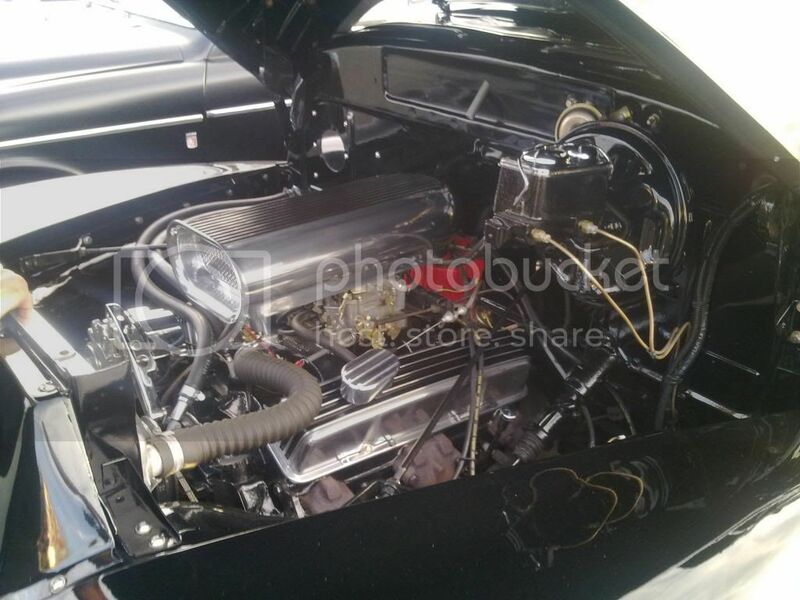 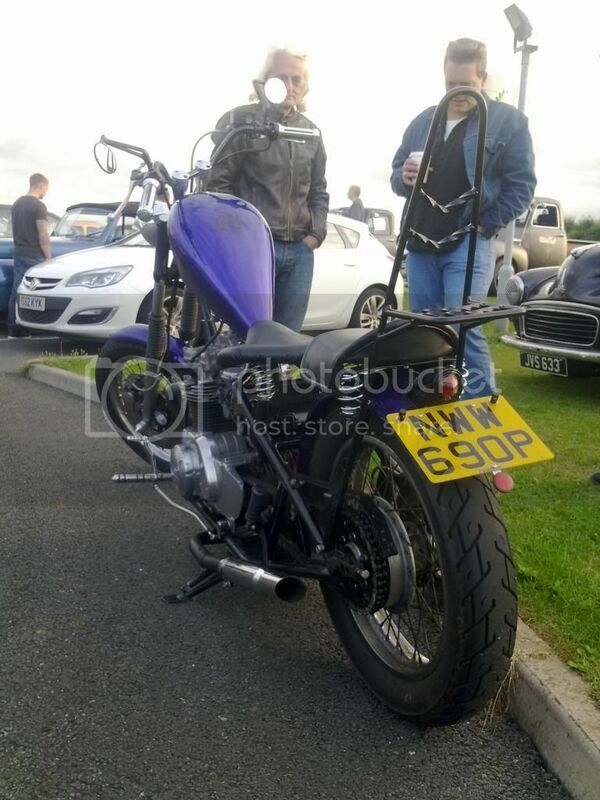 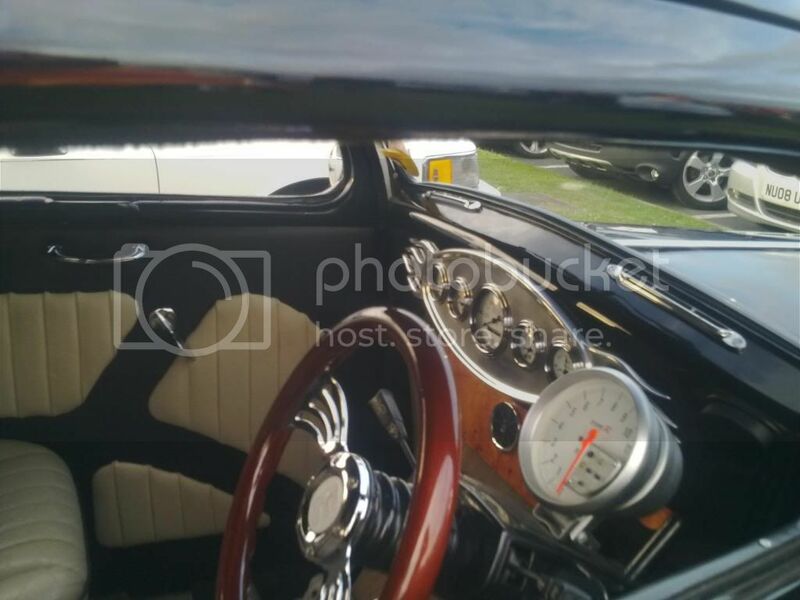 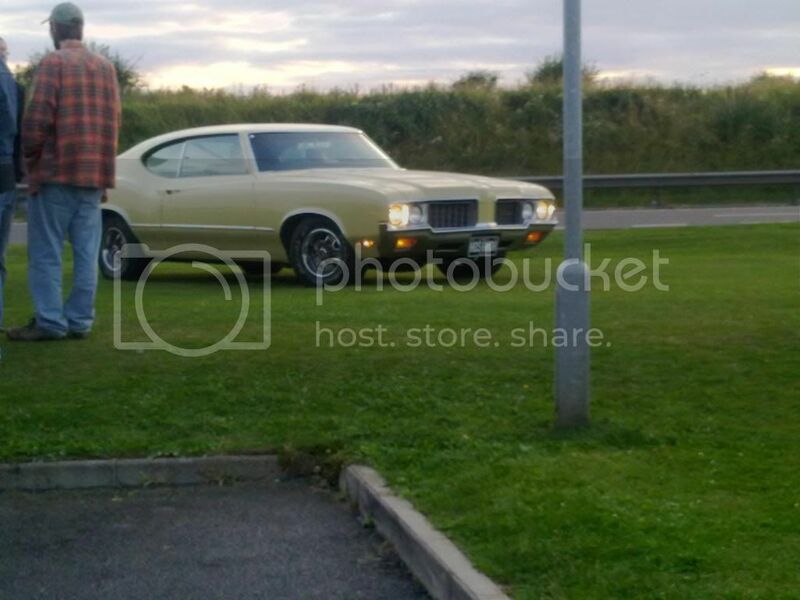 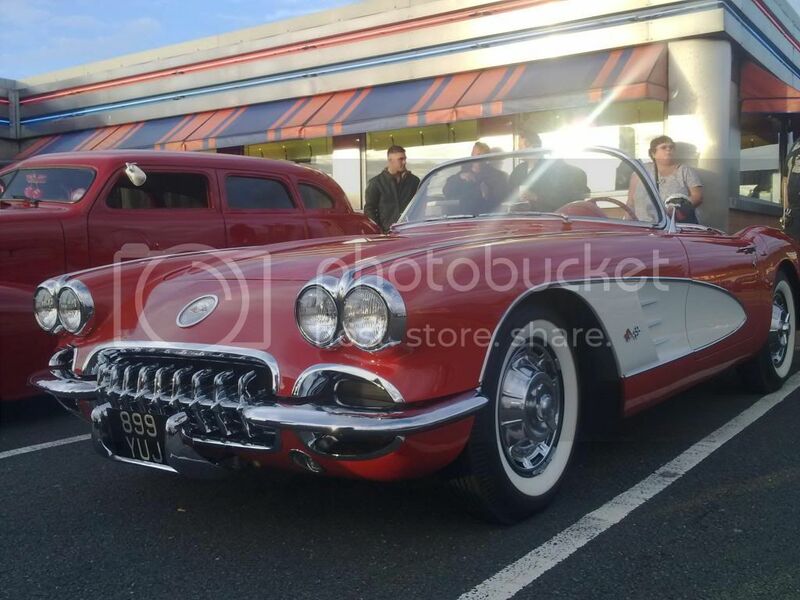 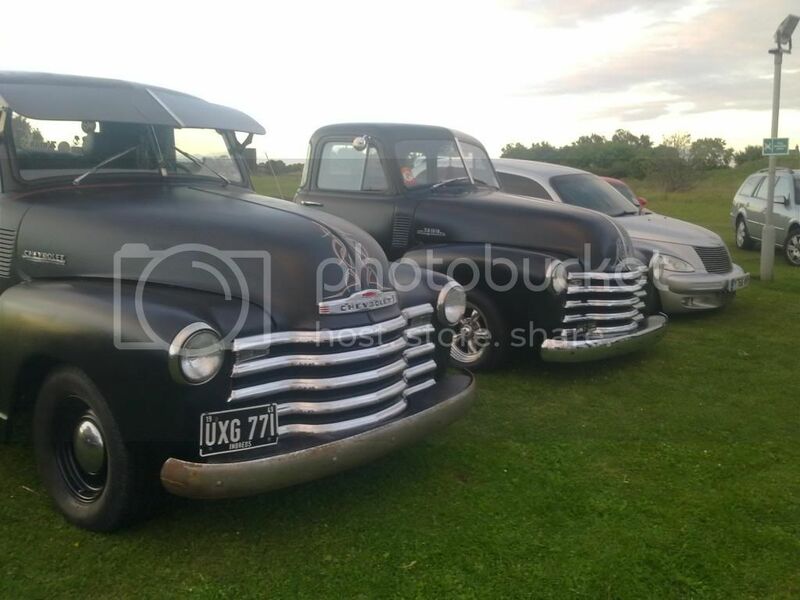 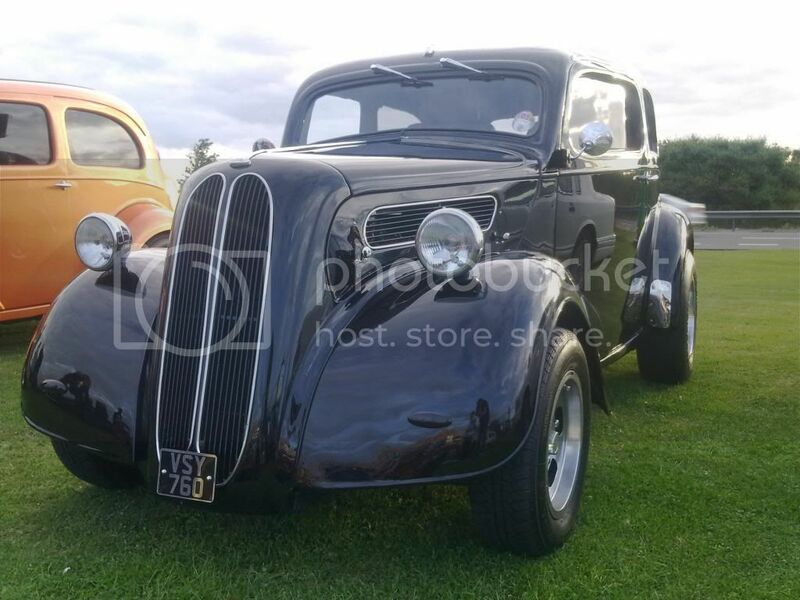 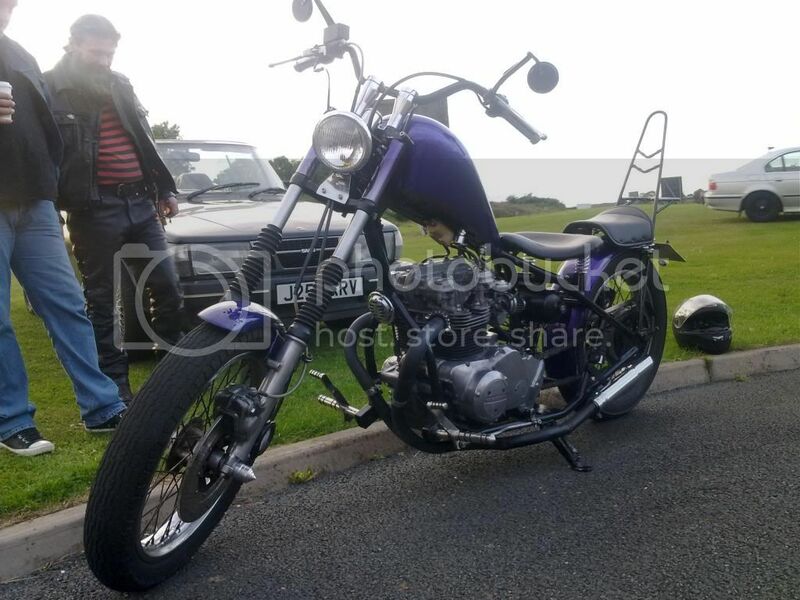 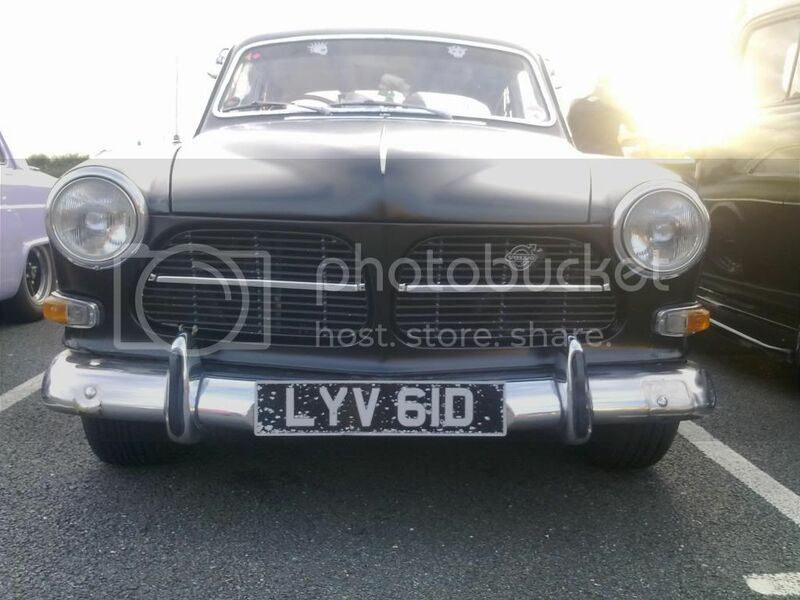 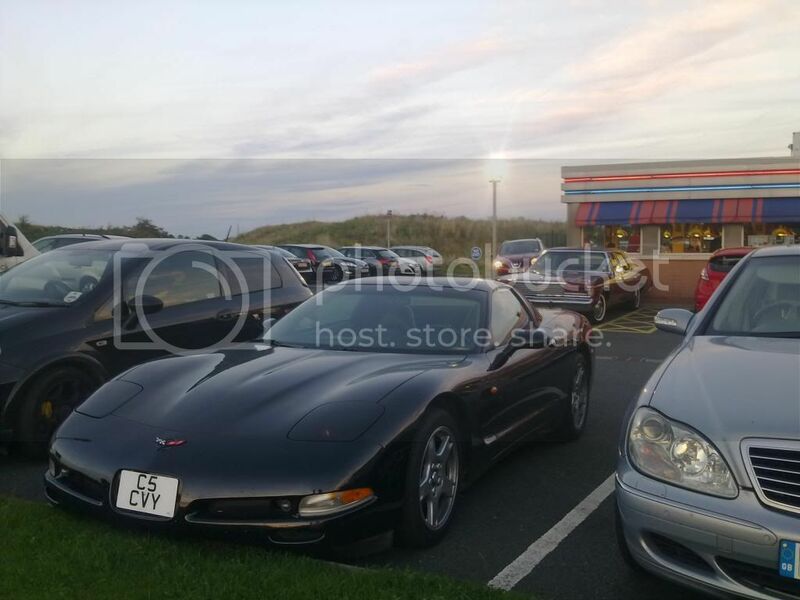 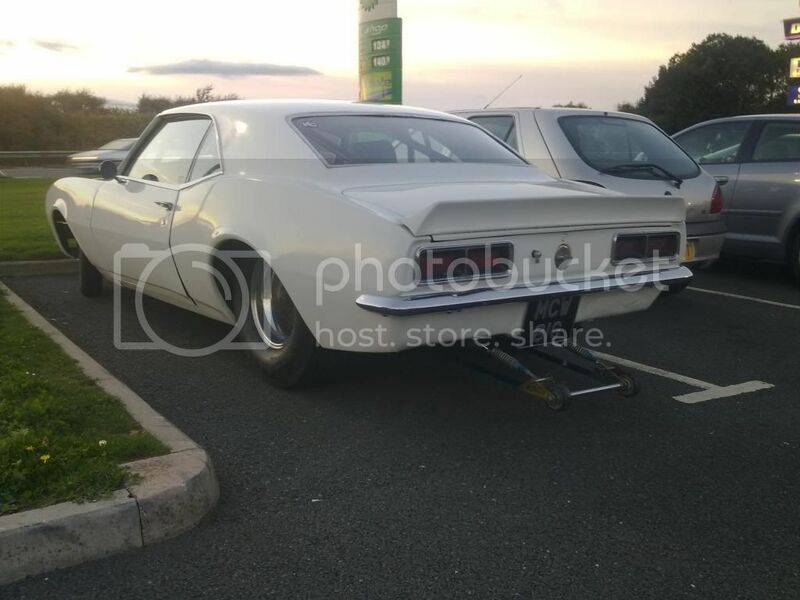 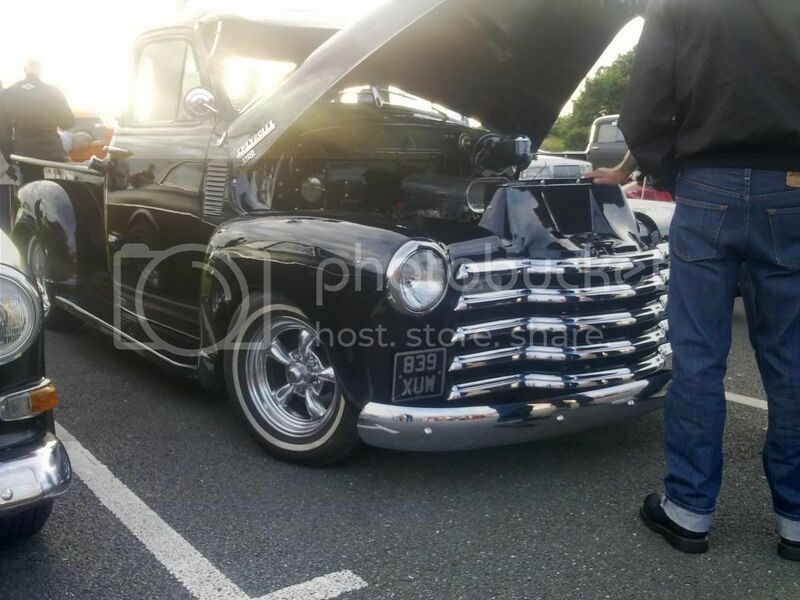 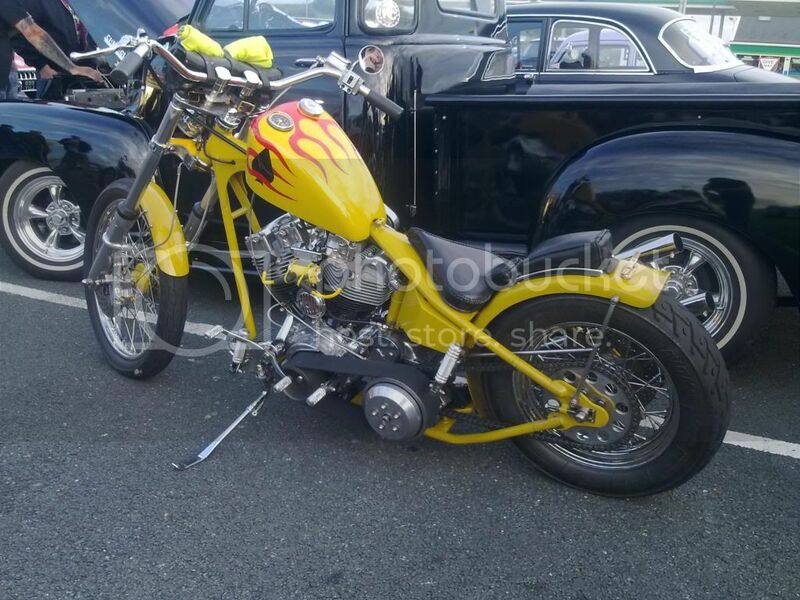 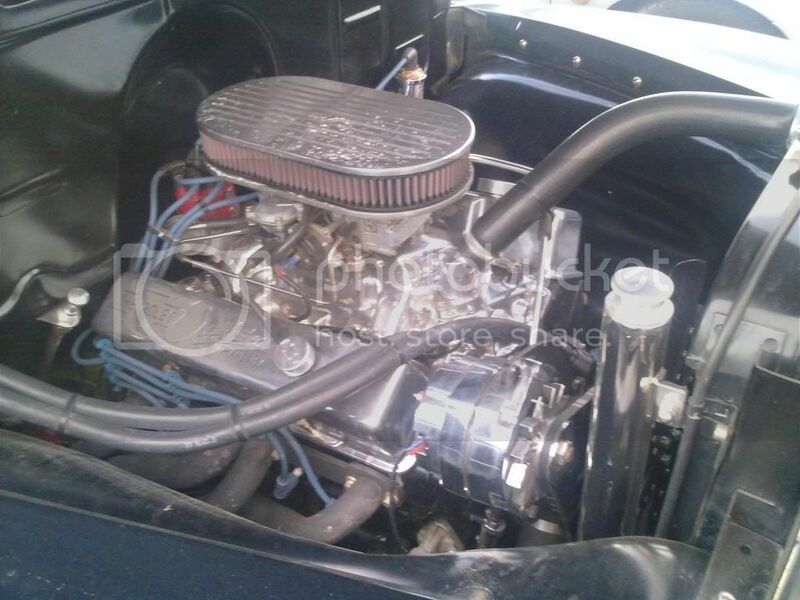 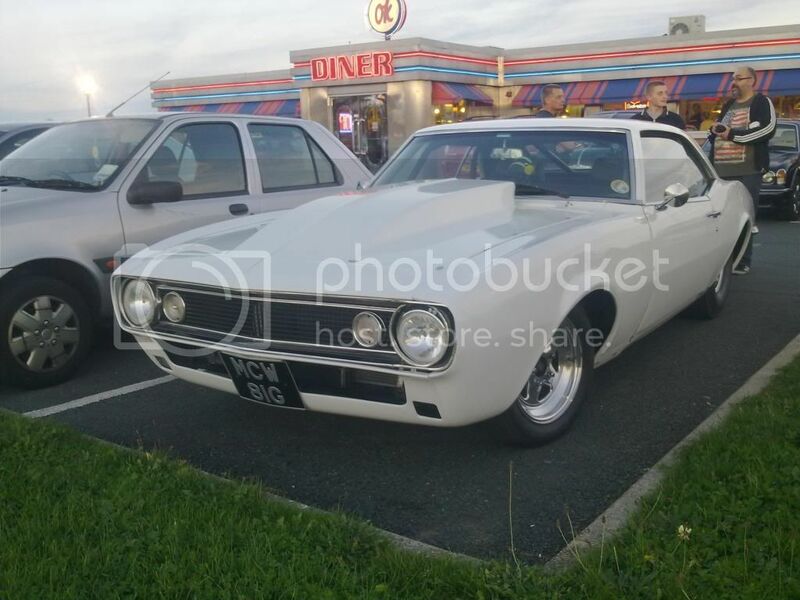 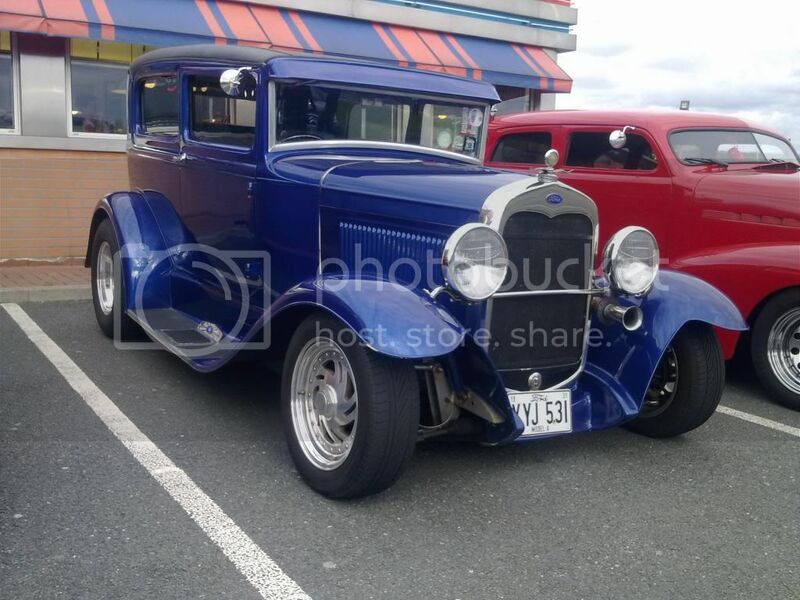 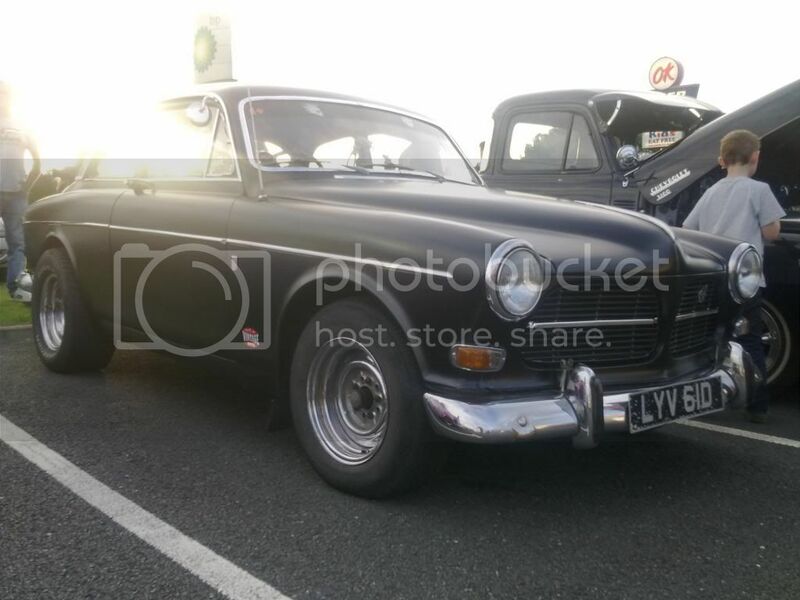 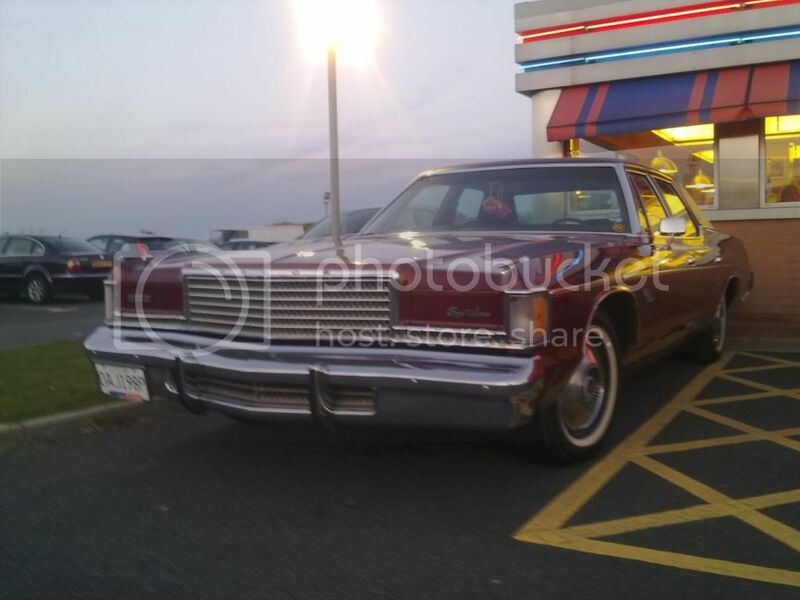 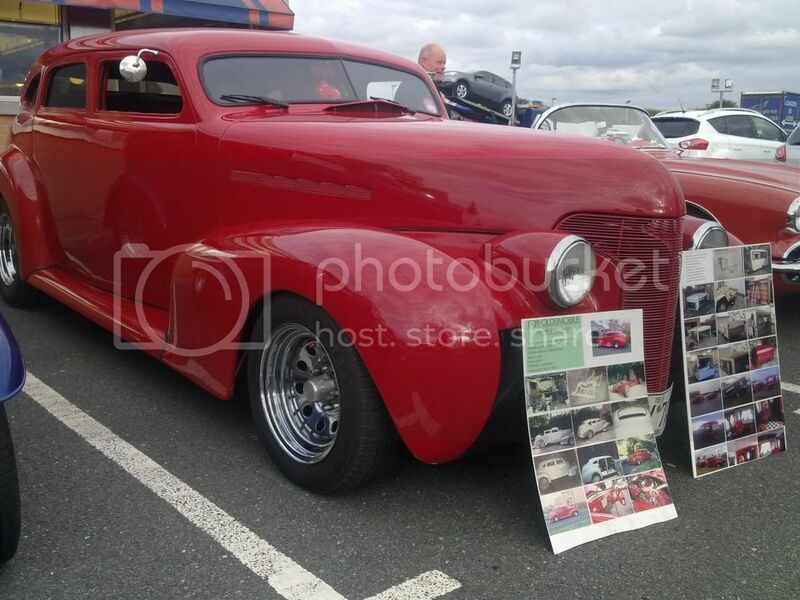 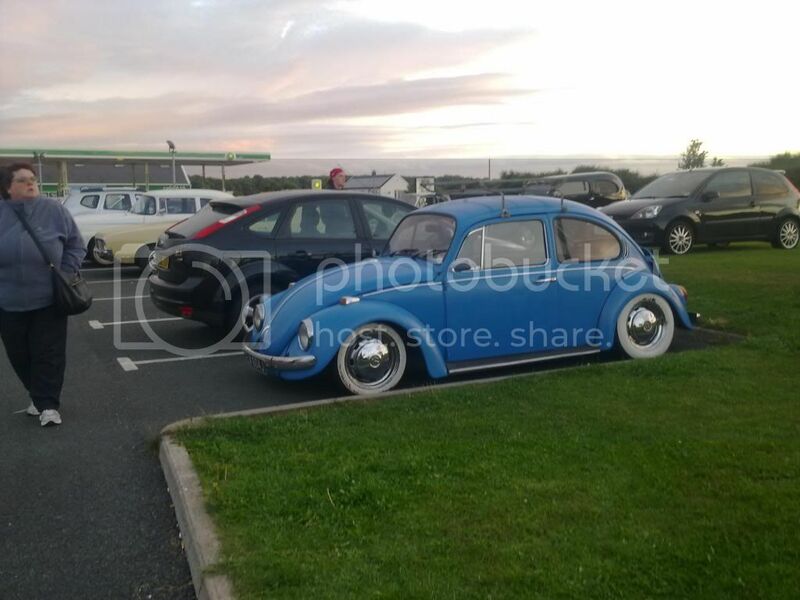 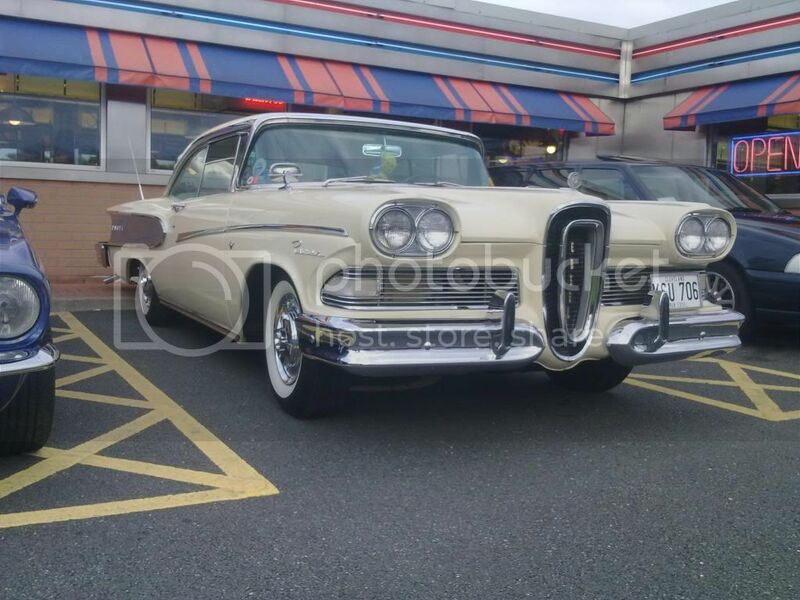 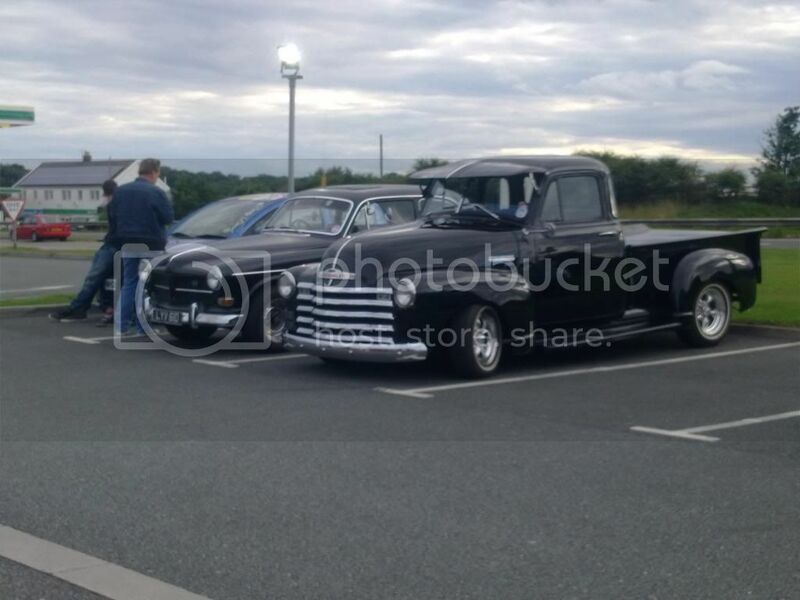 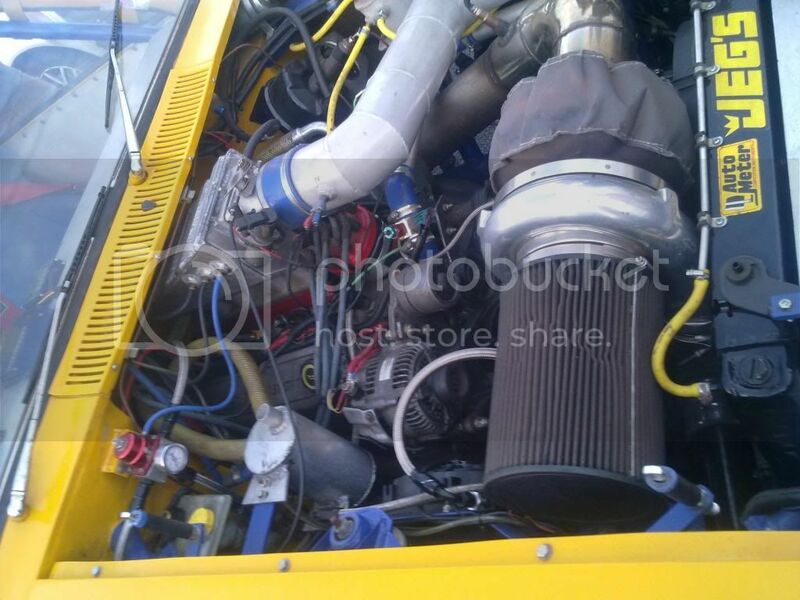 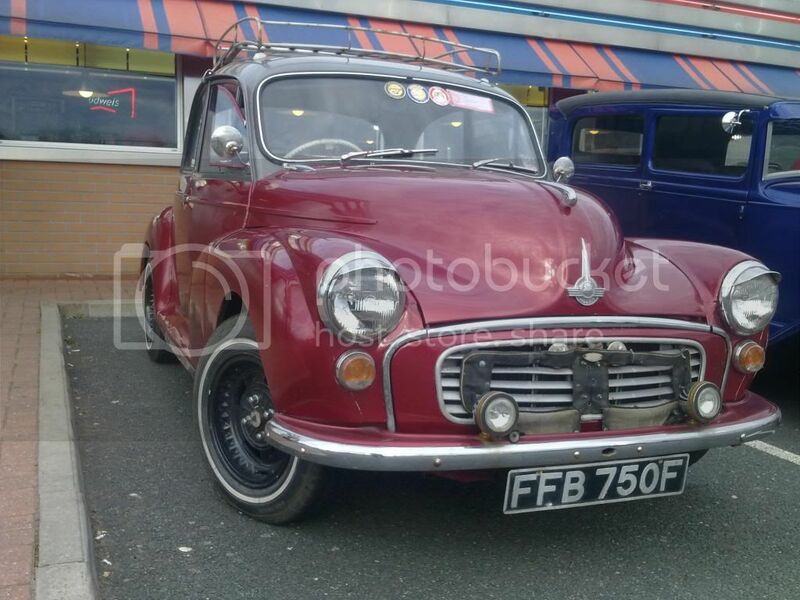 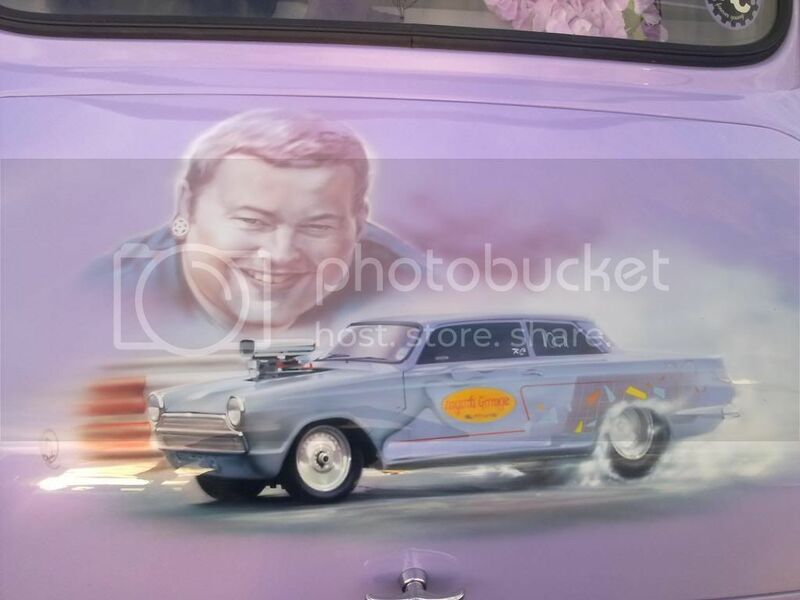 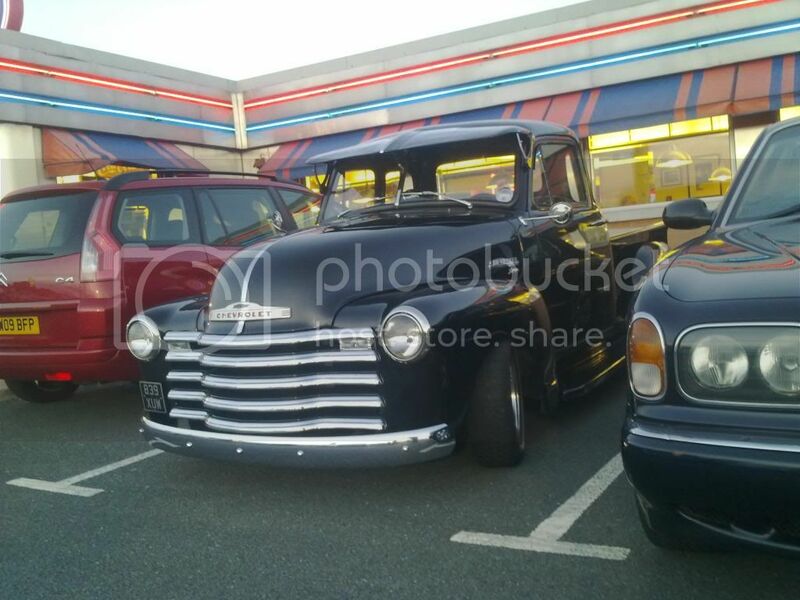 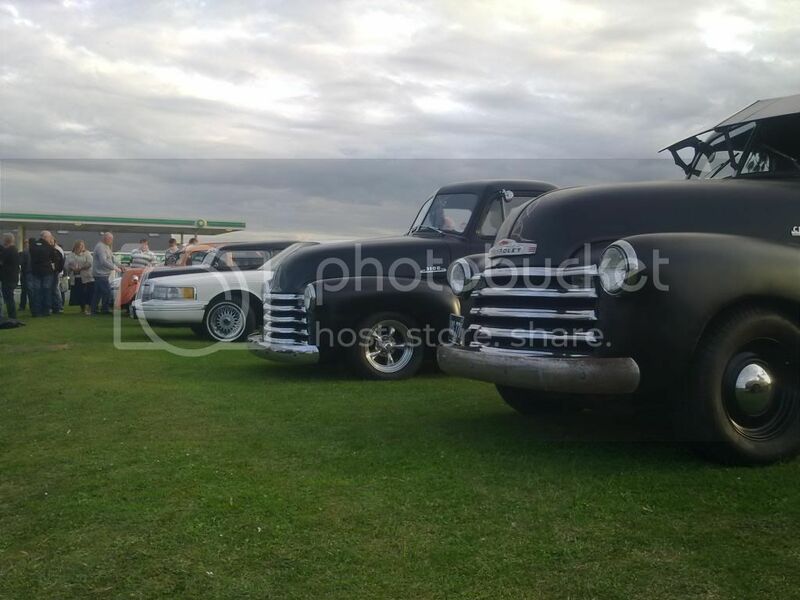 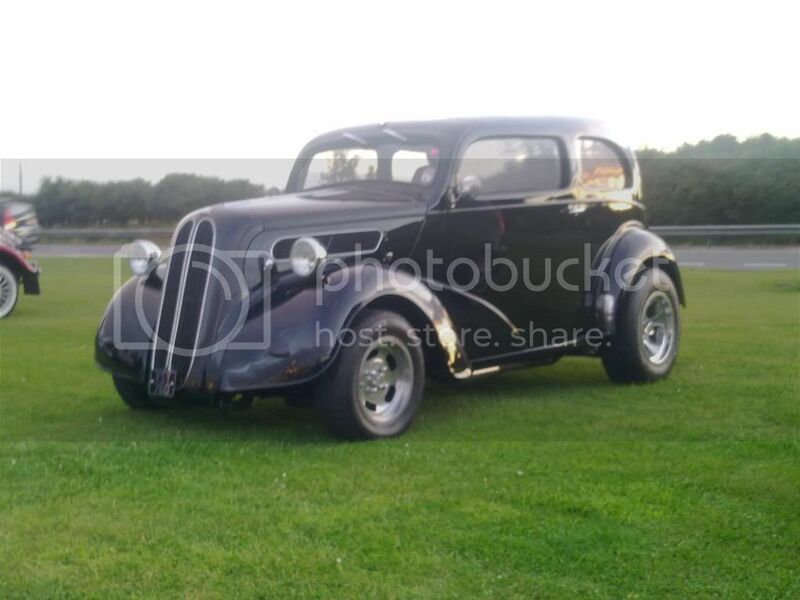 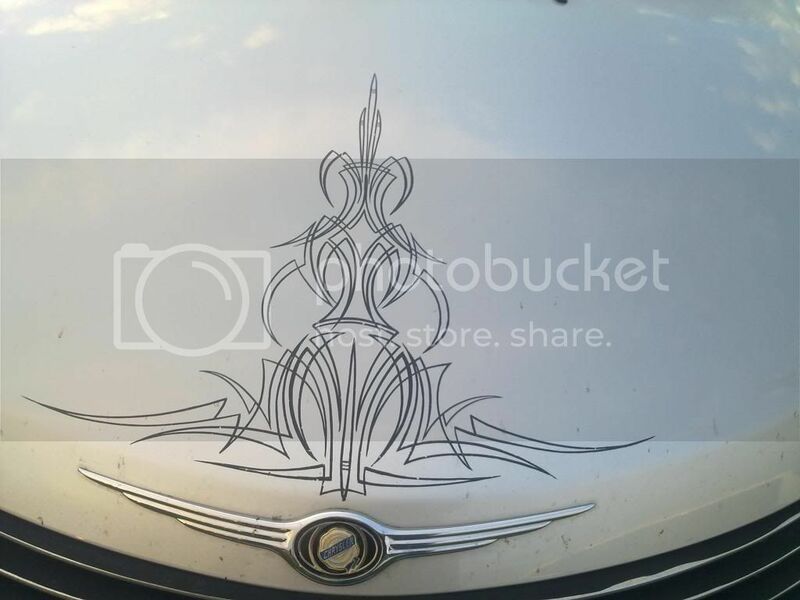 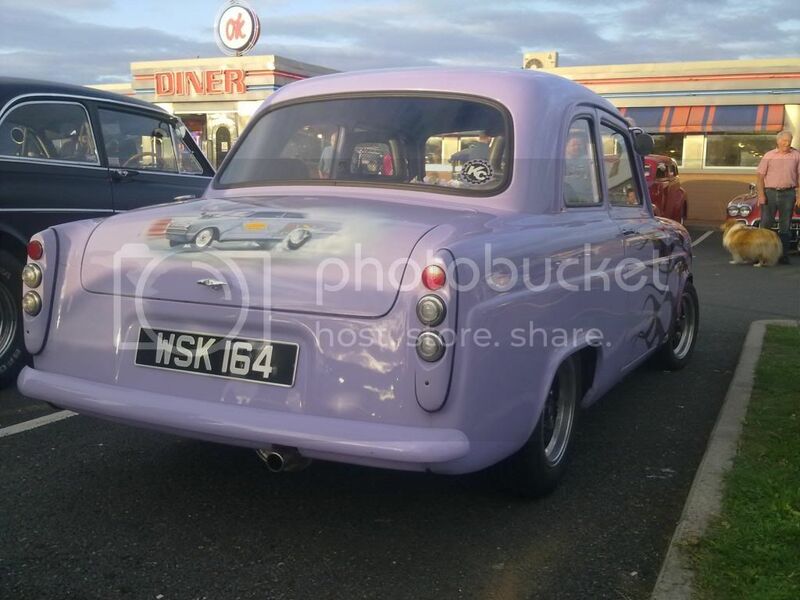 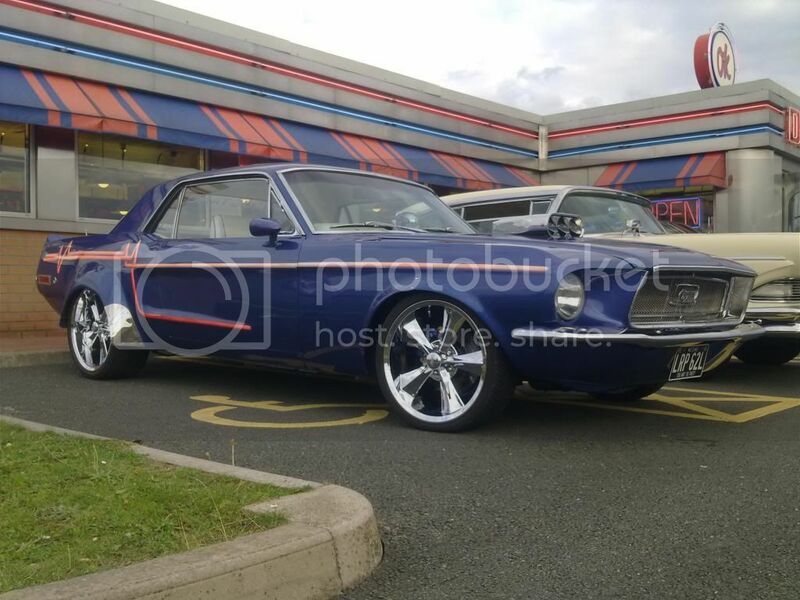 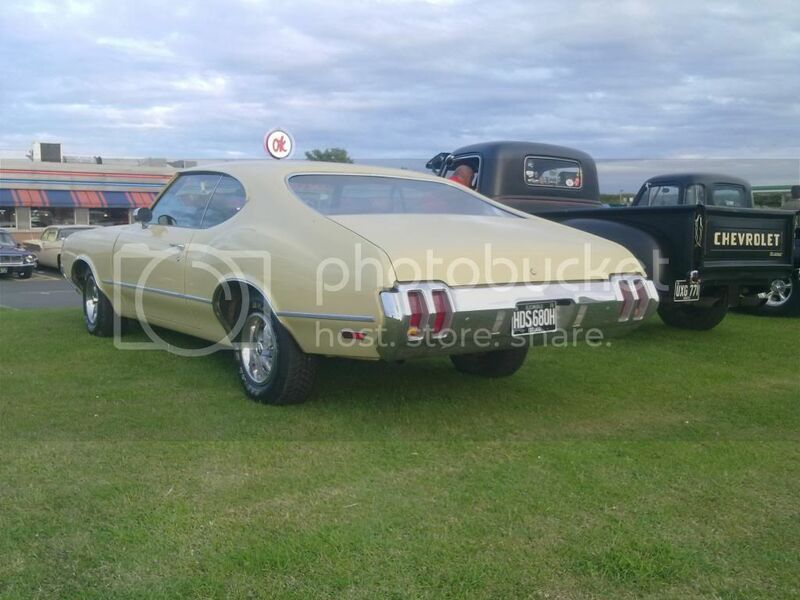 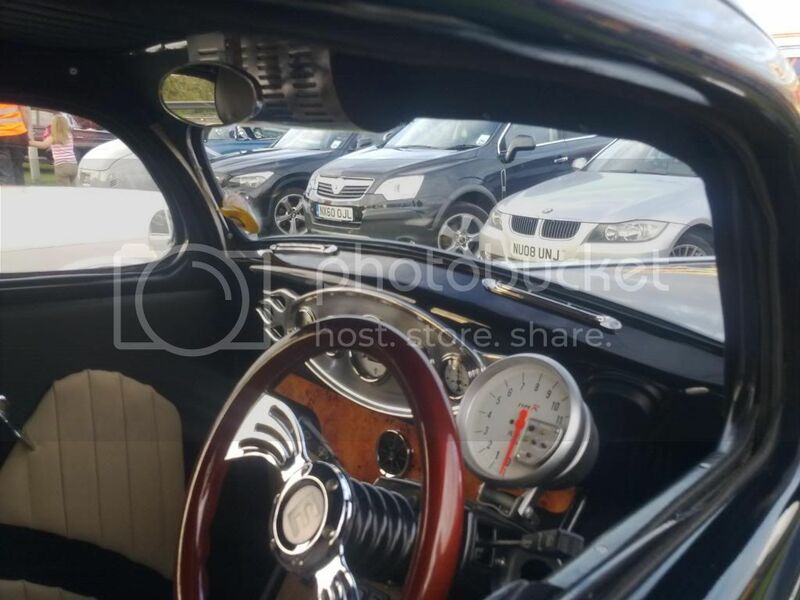 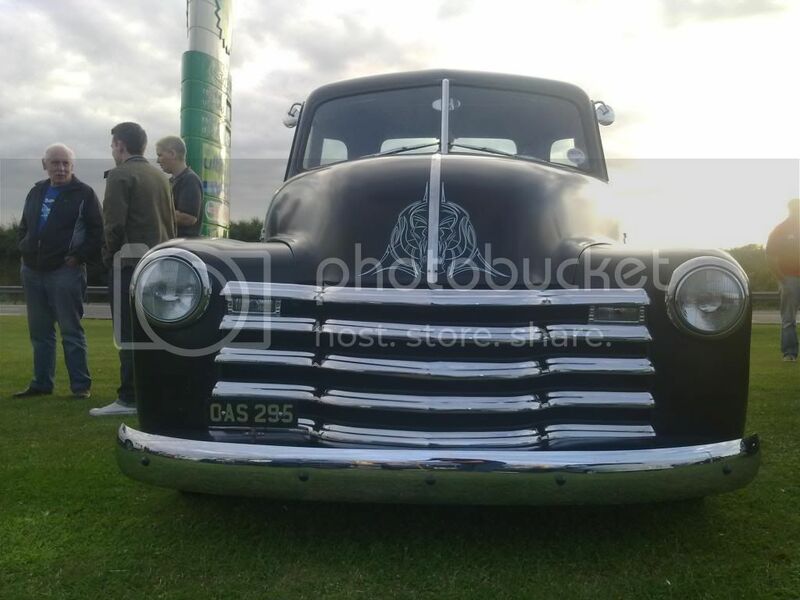 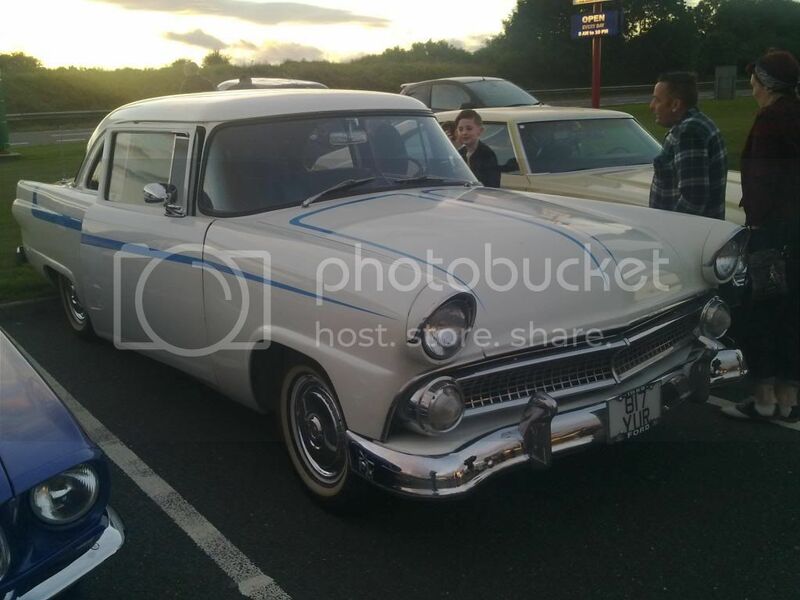 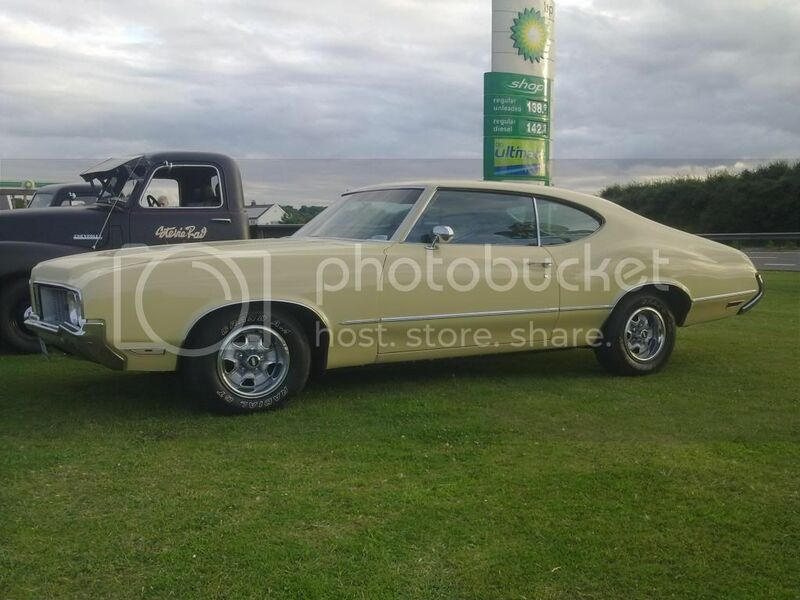 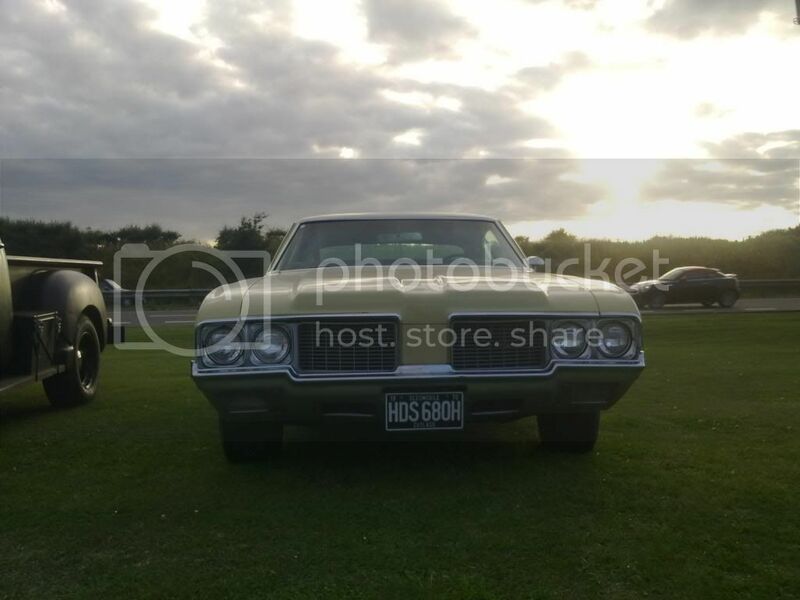 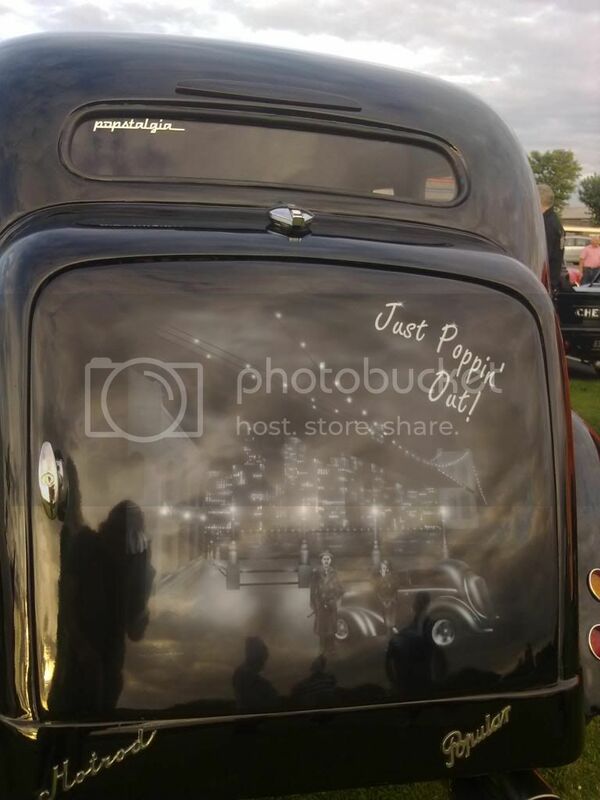 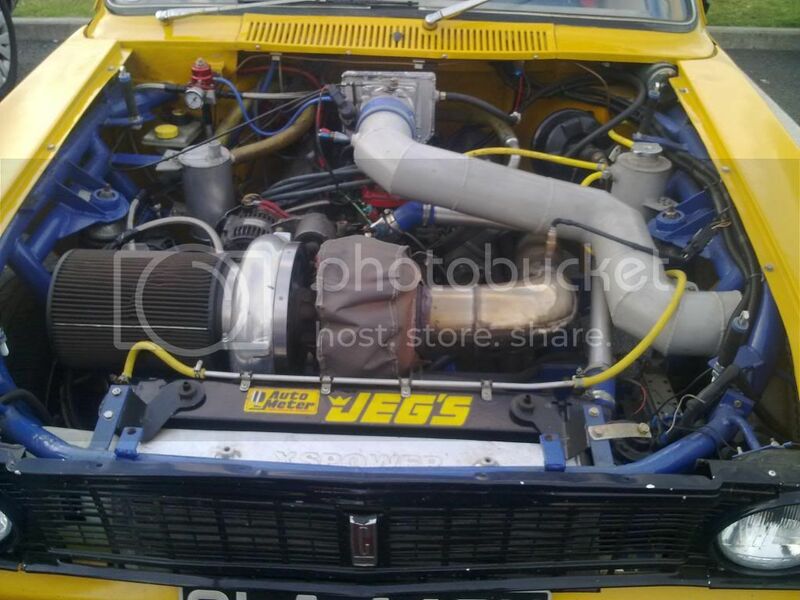 Here are some photos taken at tonight's(10th September 2013 meet at the diner. 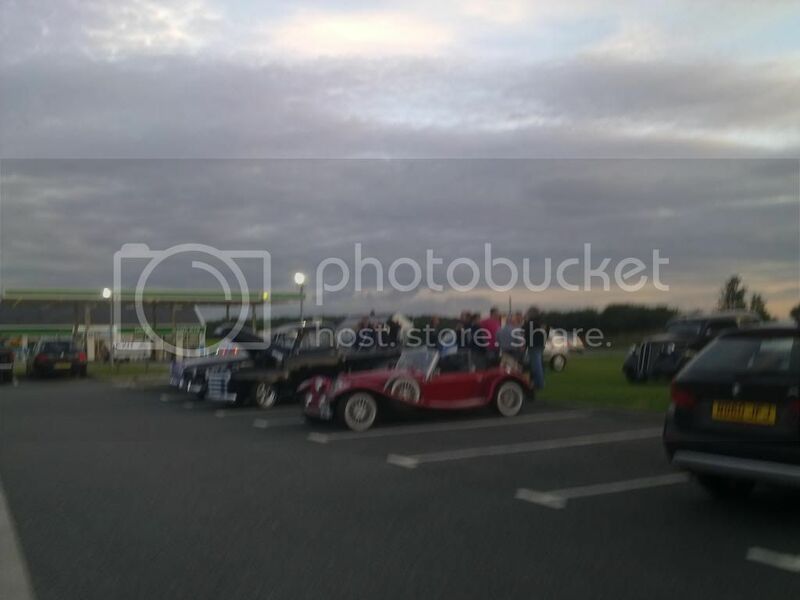 more photos later as it was too dark. 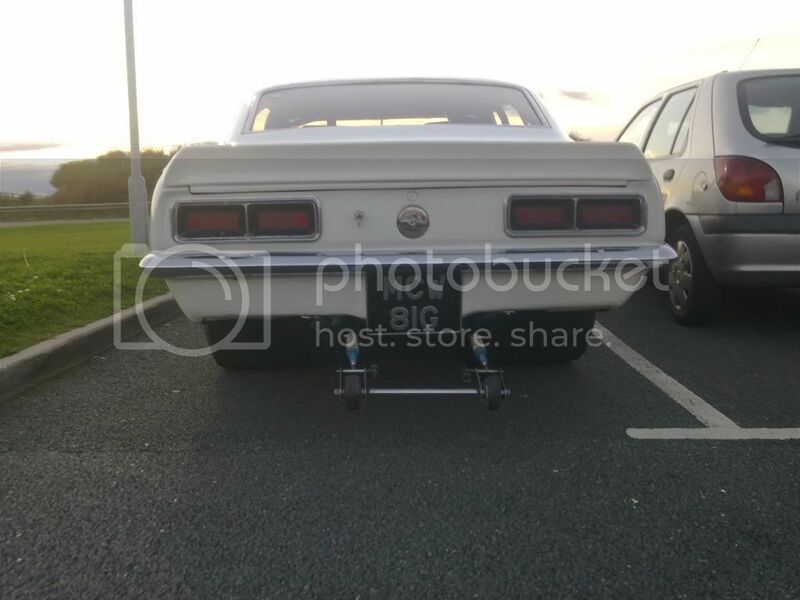 space between the rear lights to see how much give it had. 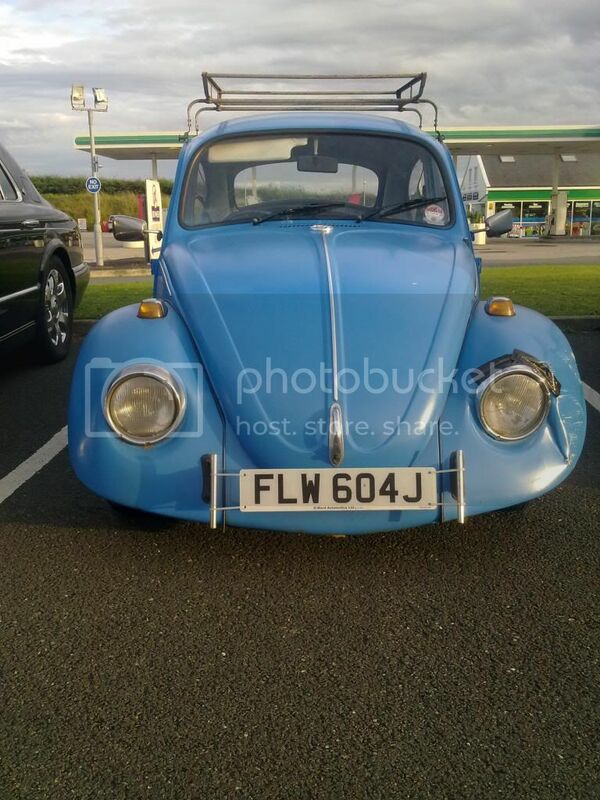 £1.40 per litre for the Diesel? 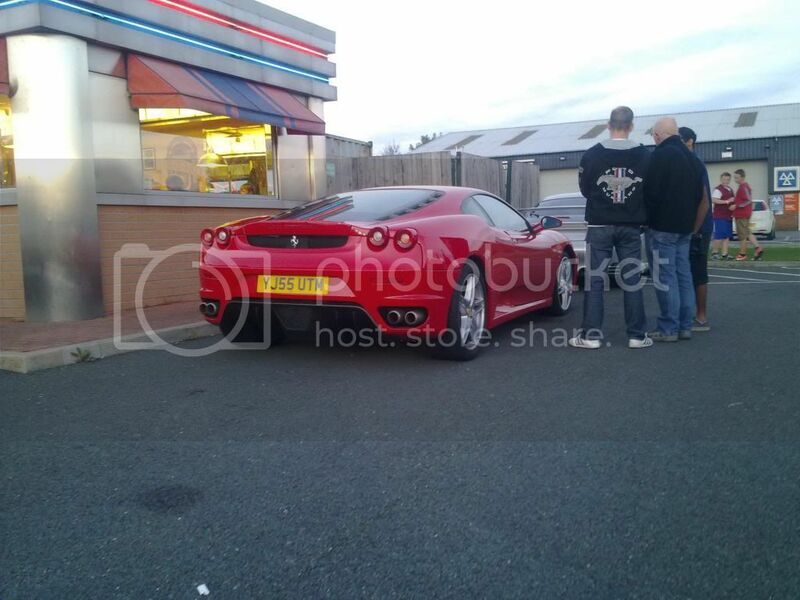 Cripes man that's dear, it's as low as £1.34 at some sites through in Newcastle. 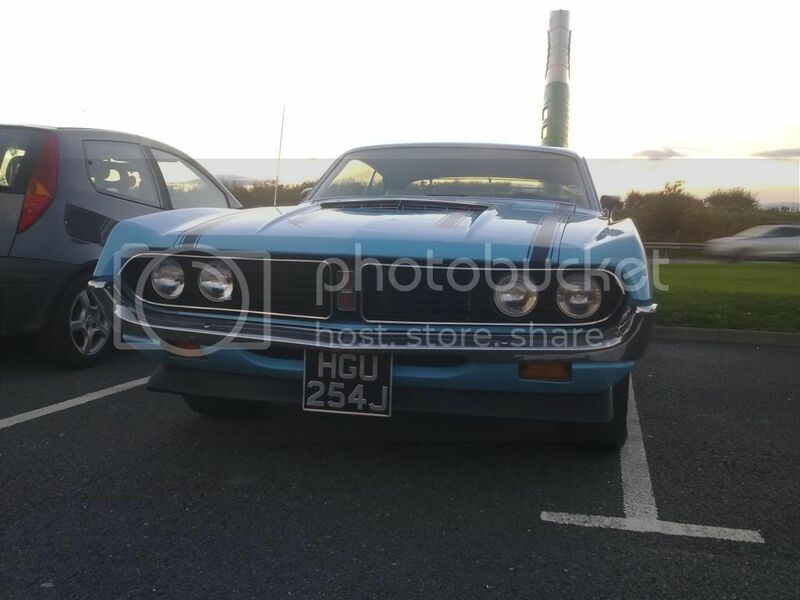 I like the car featured in the first two images from today's meet, but sadly I know Jack Shee-ite about Yank tin of that period so can you tell us something about it please? 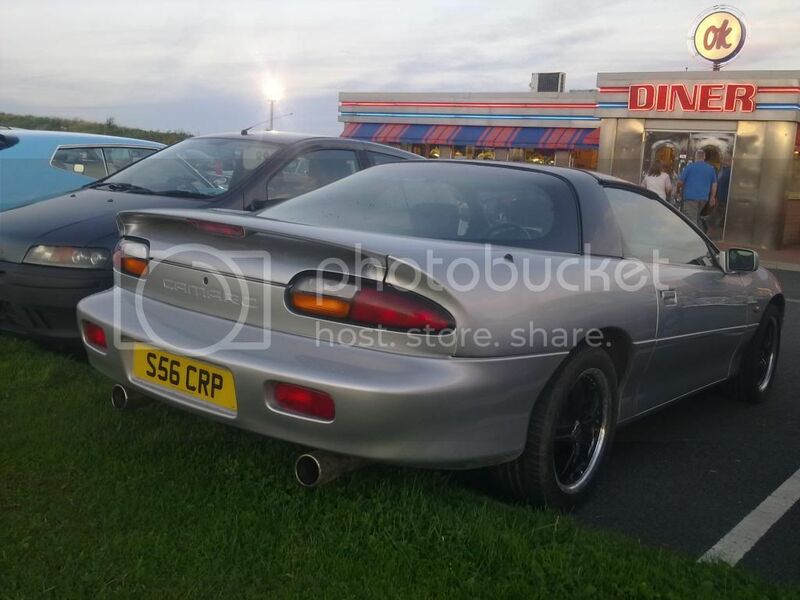 And why did the person who painted the calipers on that small black hatchback not do them black to blend in with the rest of the night time camouflage theme? 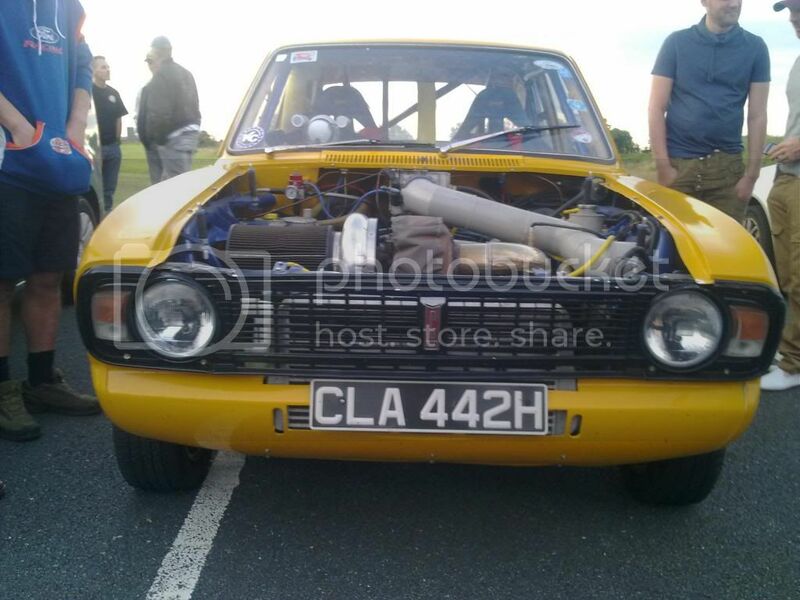 Enemy spies will see that bright yellow miles away. 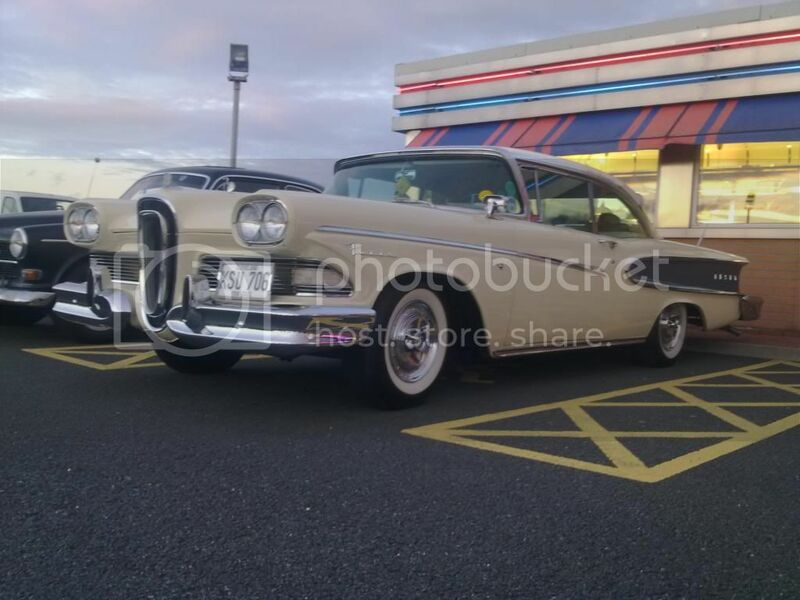 £1.42 in Uttoxeter this morning, it's the same price as super unleaded. 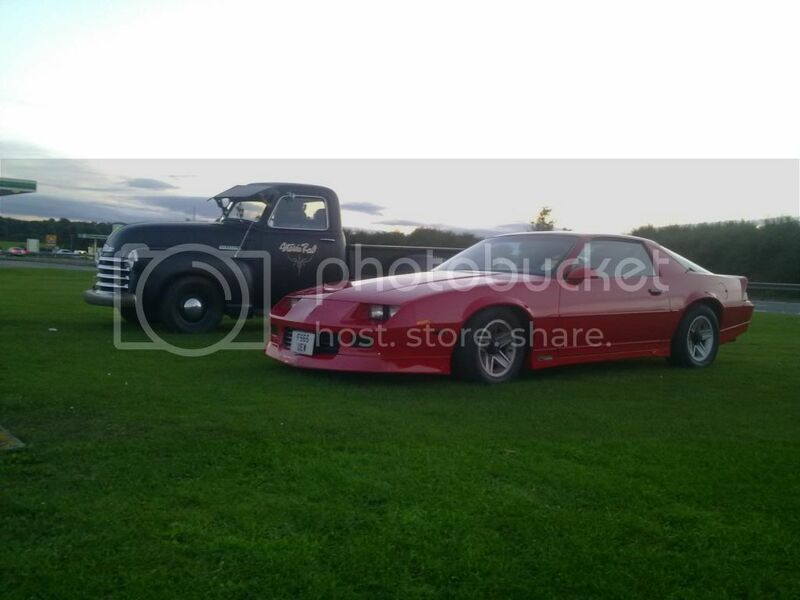 If it wasn't for the 50+mpg of my daily diesel it would have been scrapped and I would be in something that runs on proper fuel! 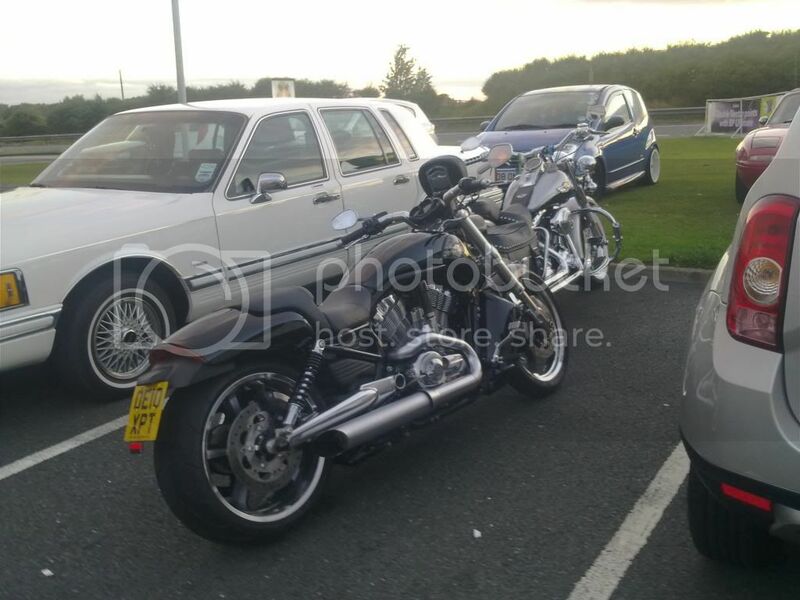 upto the Tyne Tunnel were at Hartlepool/Elwick then Easington. 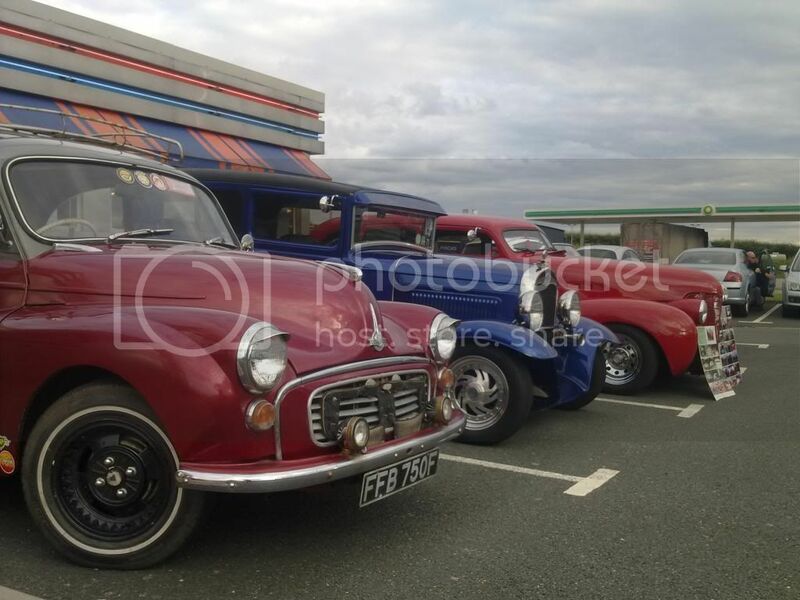 on a stretch of the original old A19 pre dual carriage way. 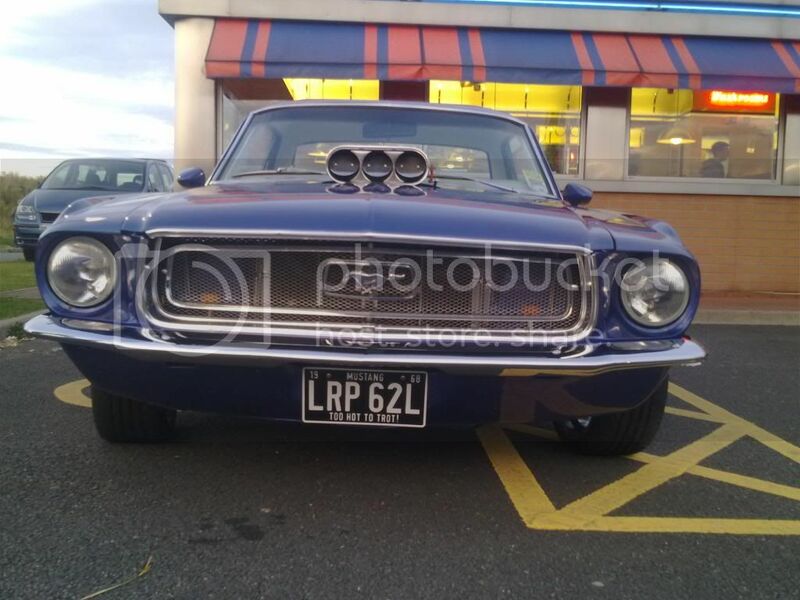 Thanks for the wiki link, yes I do like that and can't recall ever having seen one.